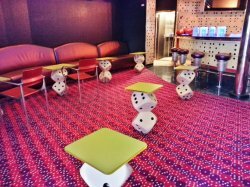 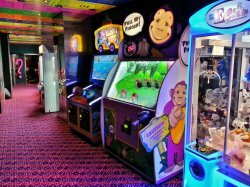 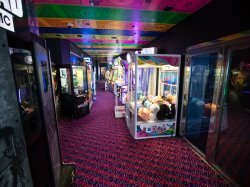 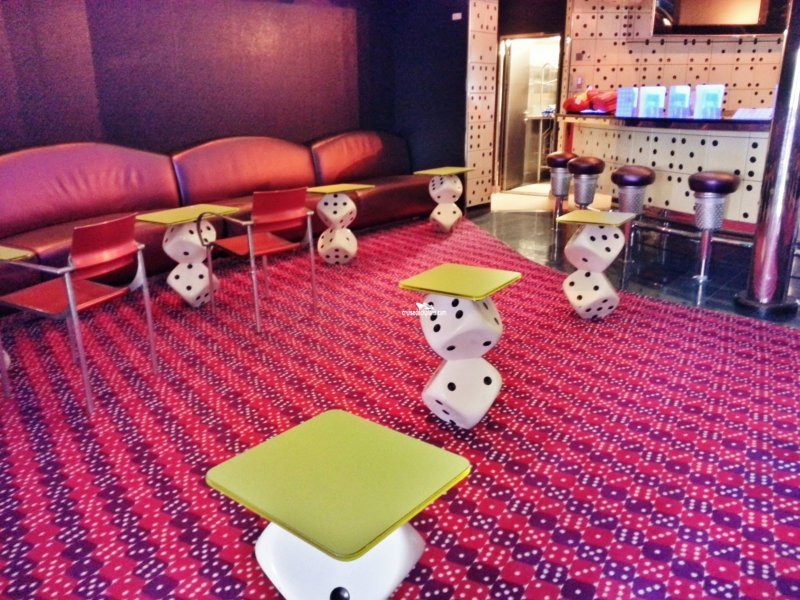 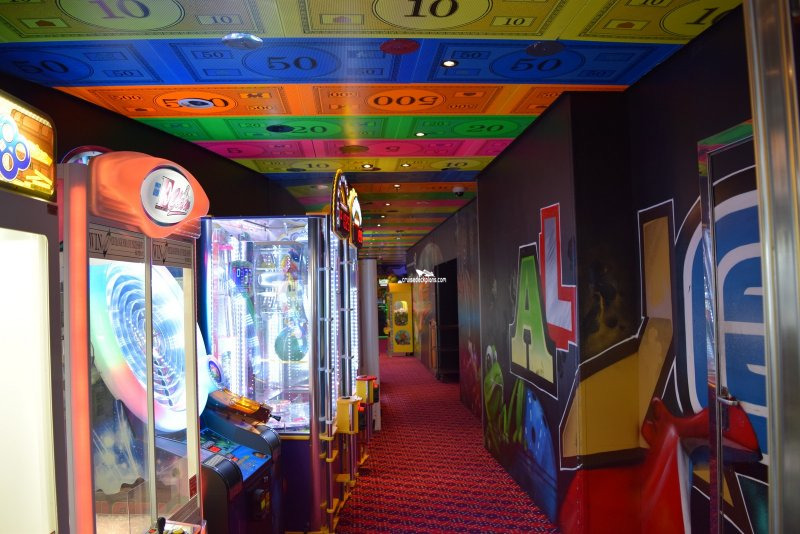 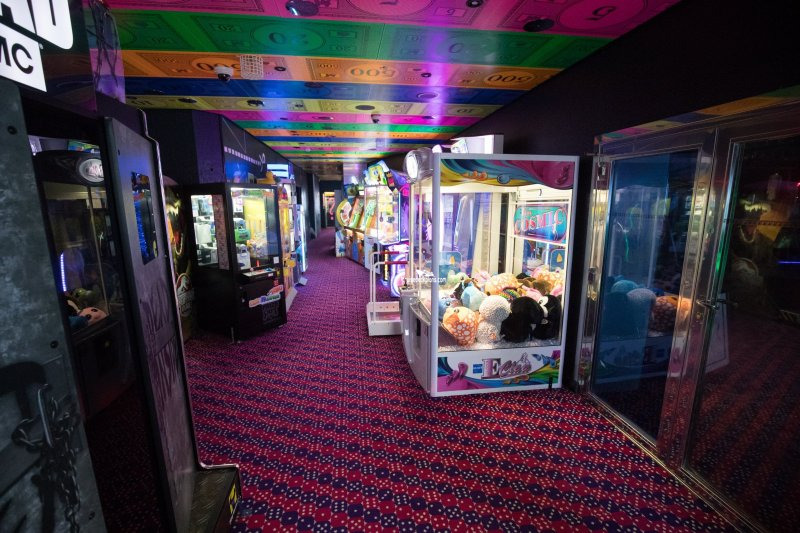 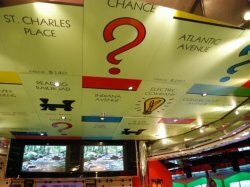 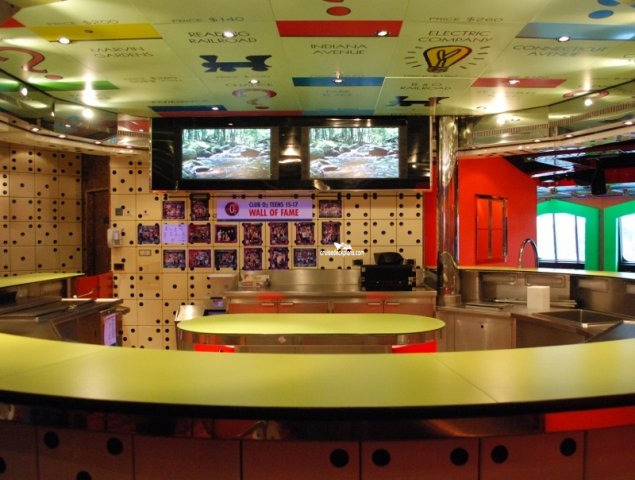 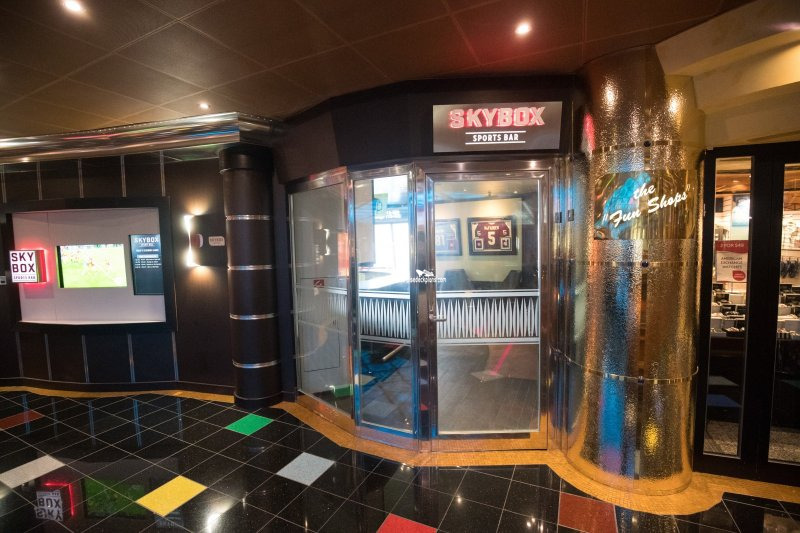 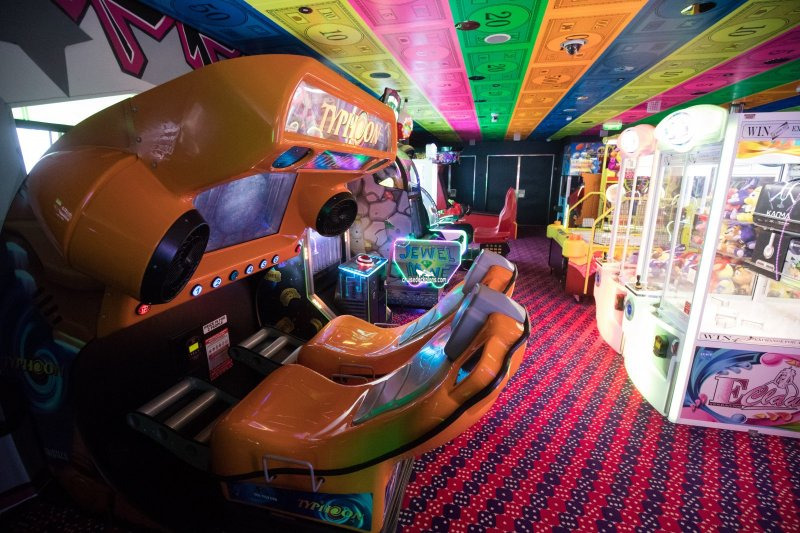 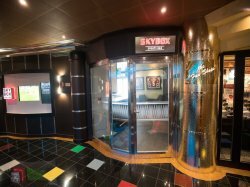 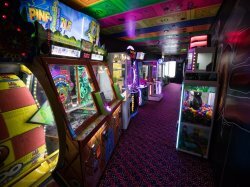 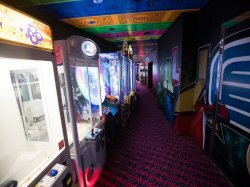 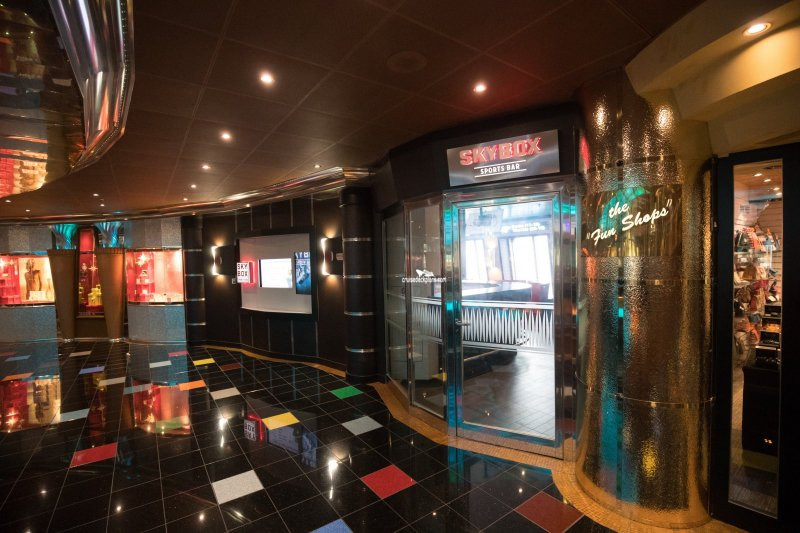 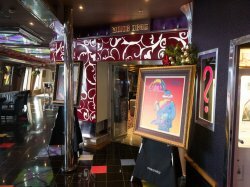 Plays hosts to comedy acts, karaoke, live music and art auctions amongst other activities. 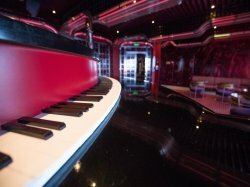 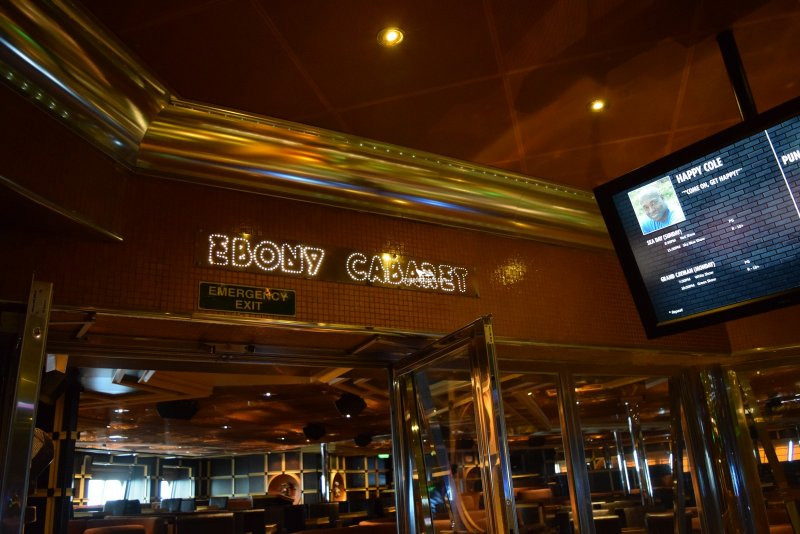 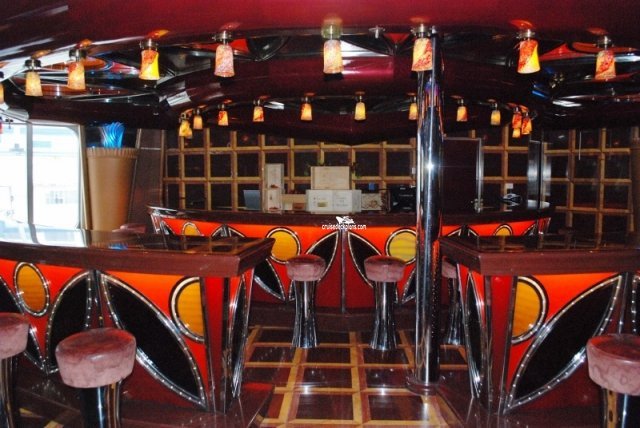 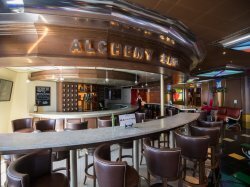 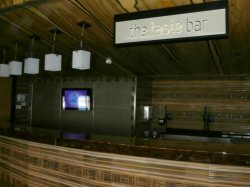 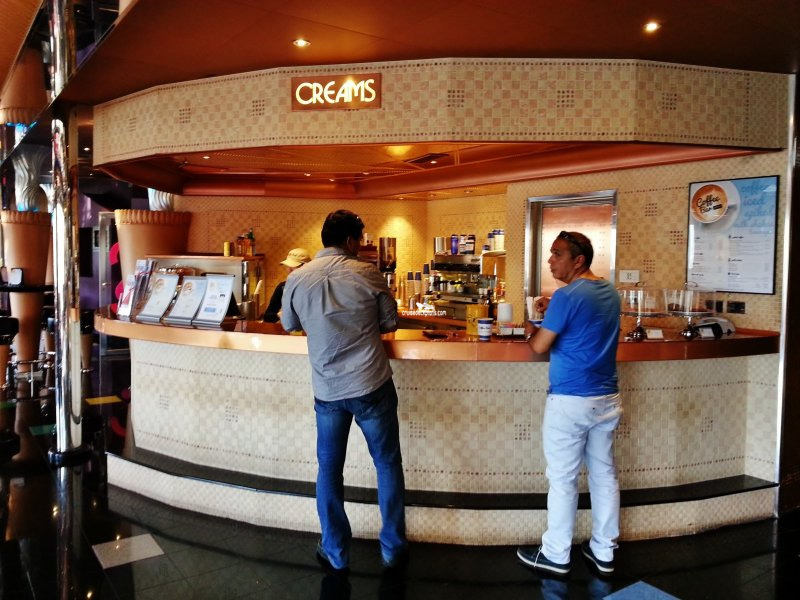 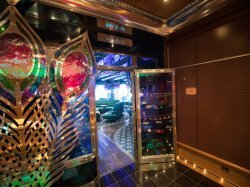 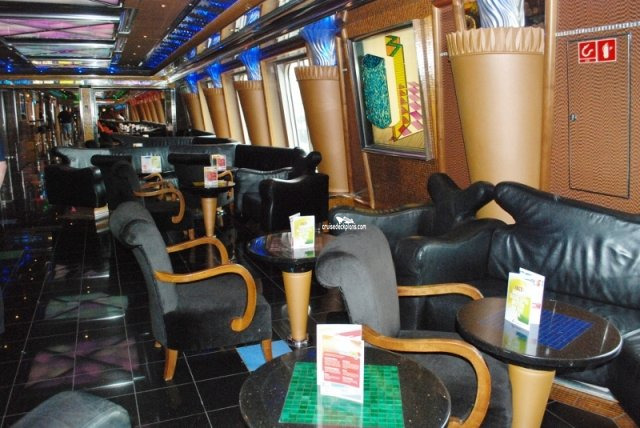 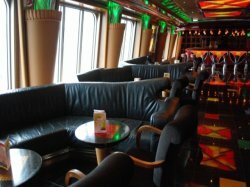 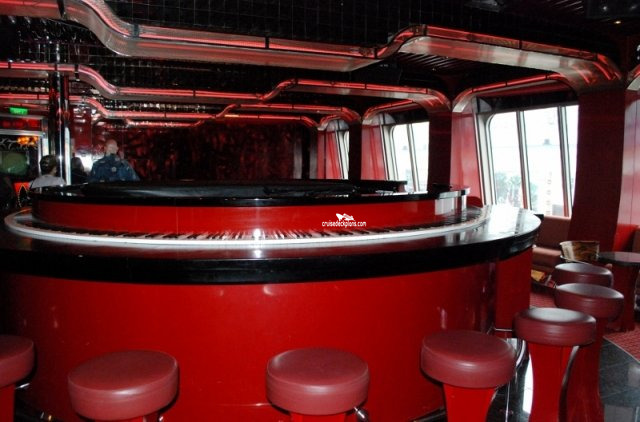 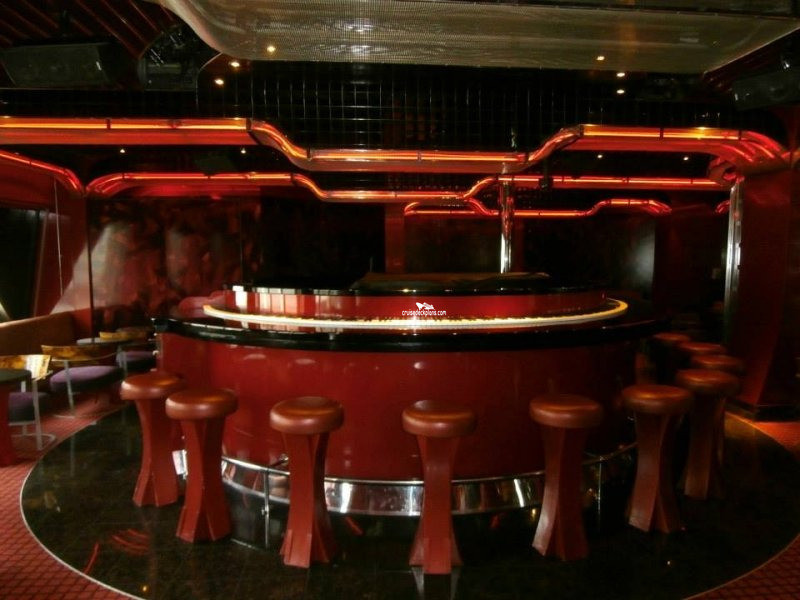 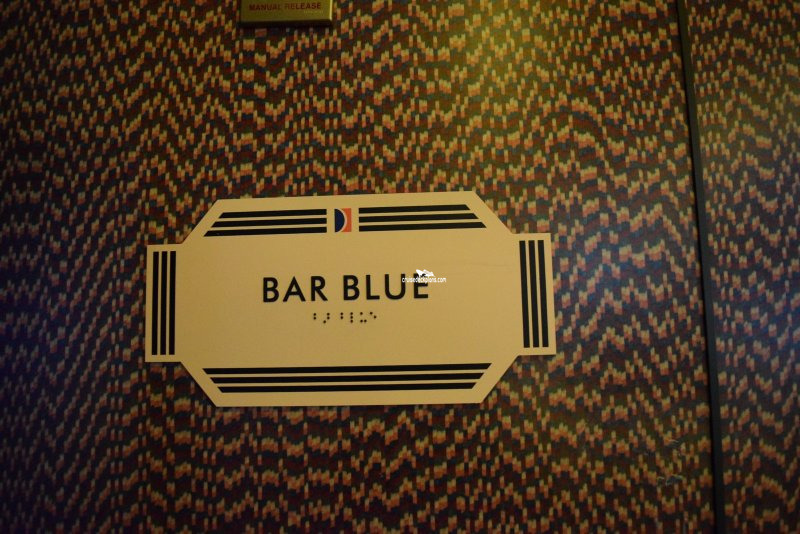 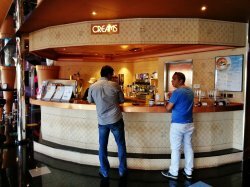 Offers passengers a place to sit and have a drink whilst listening to jazz music. 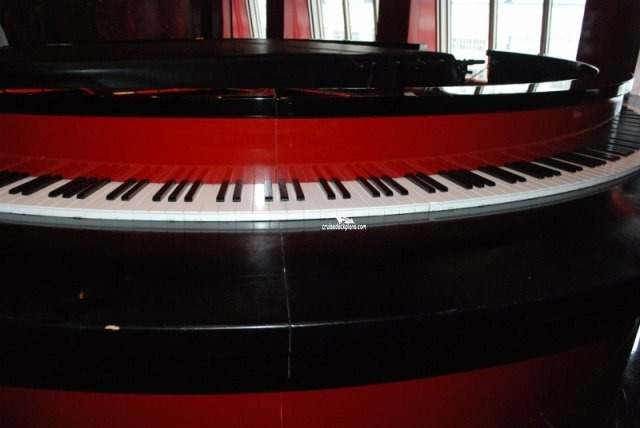 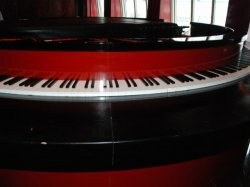 Have a drink and listen or sing along to the piano. 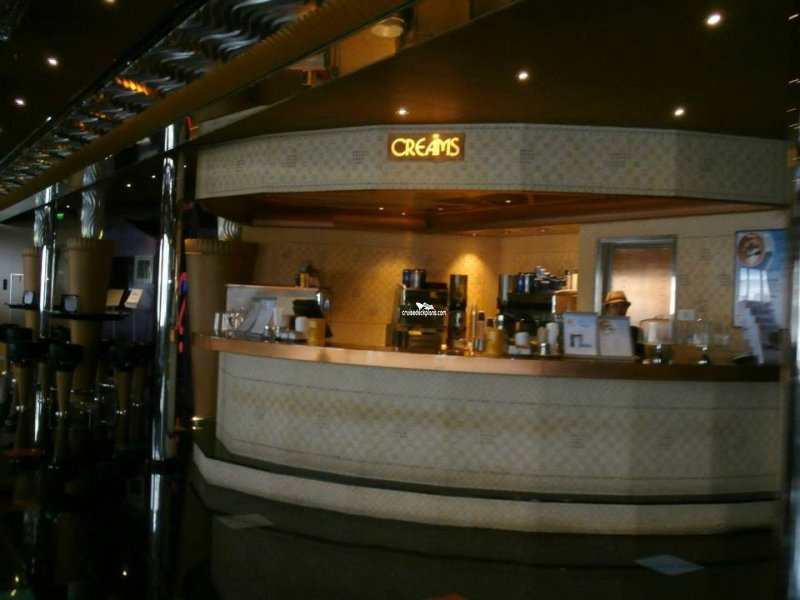 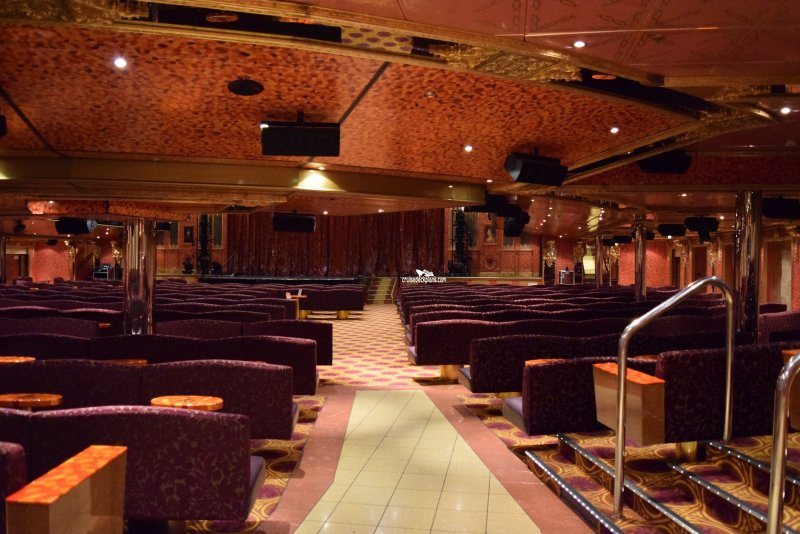 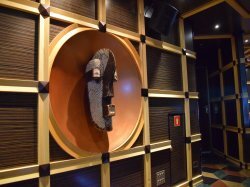 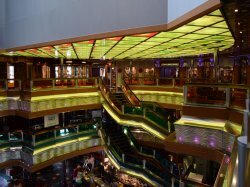 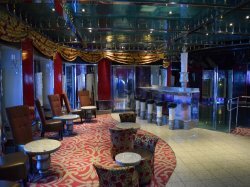 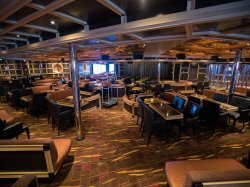 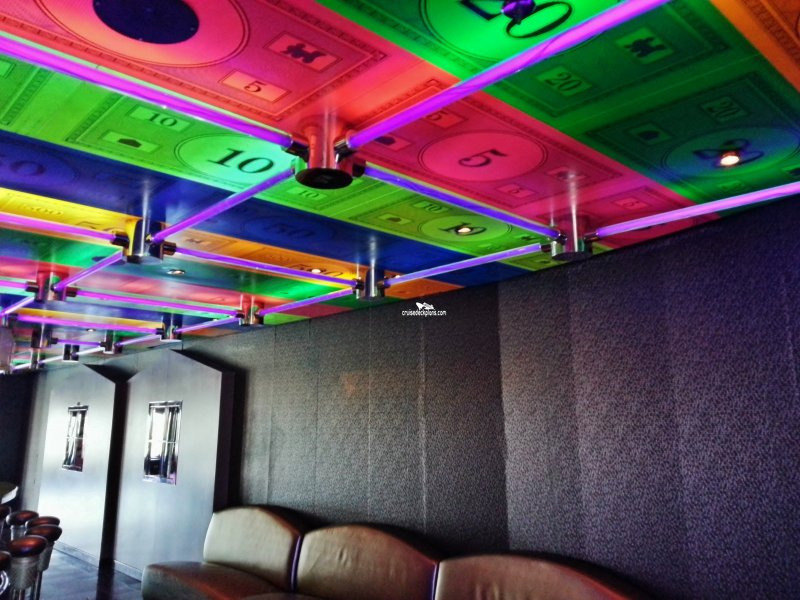 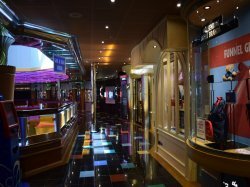 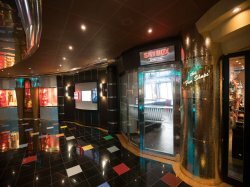 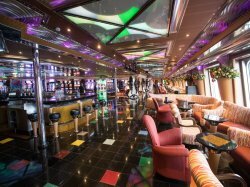 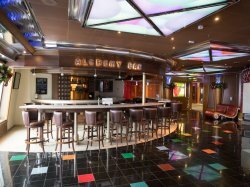 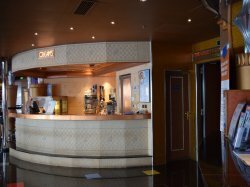 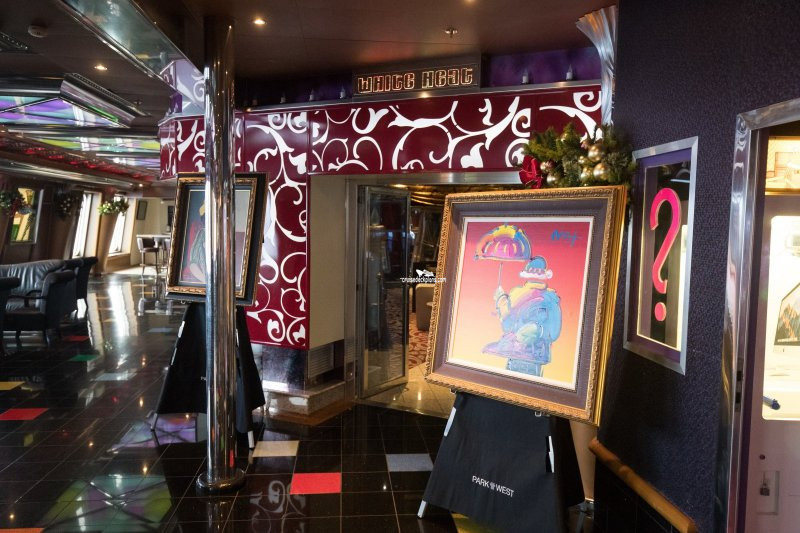 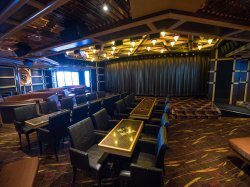 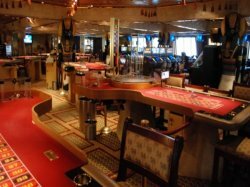 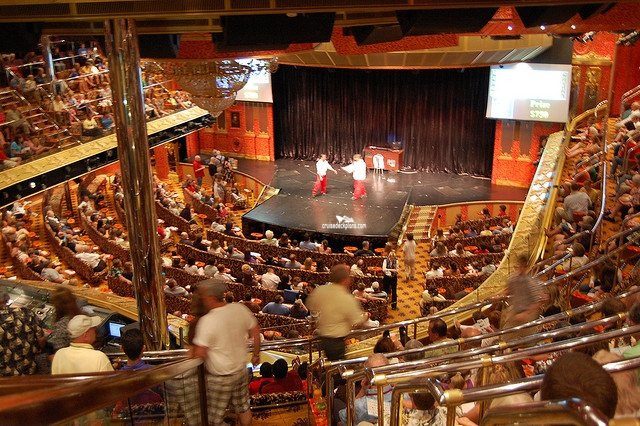 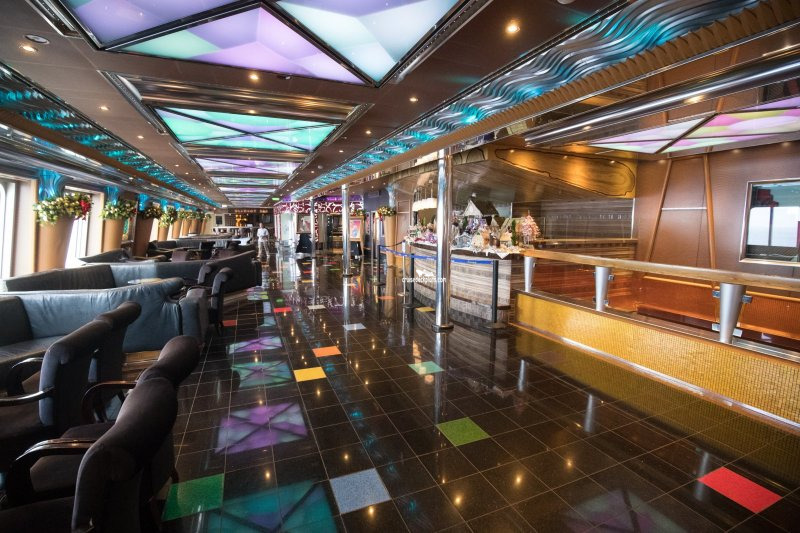 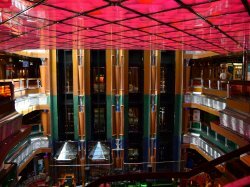 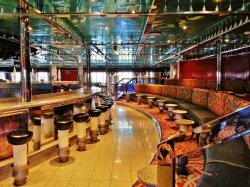 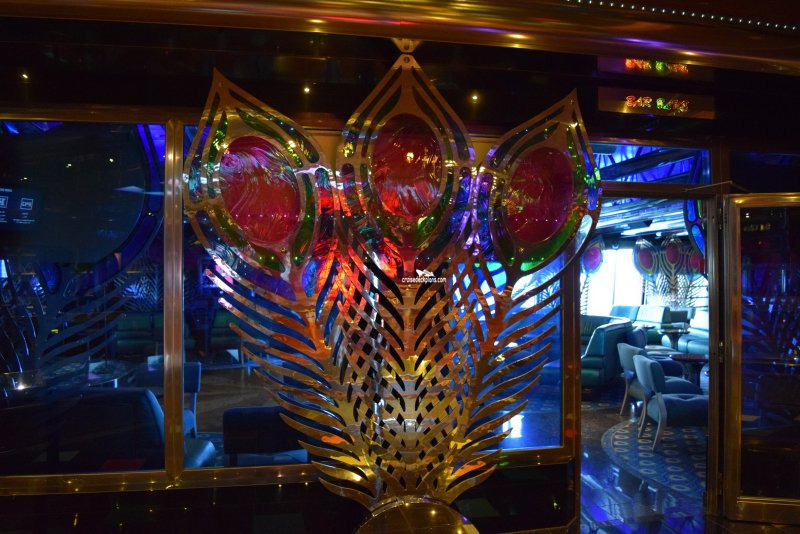 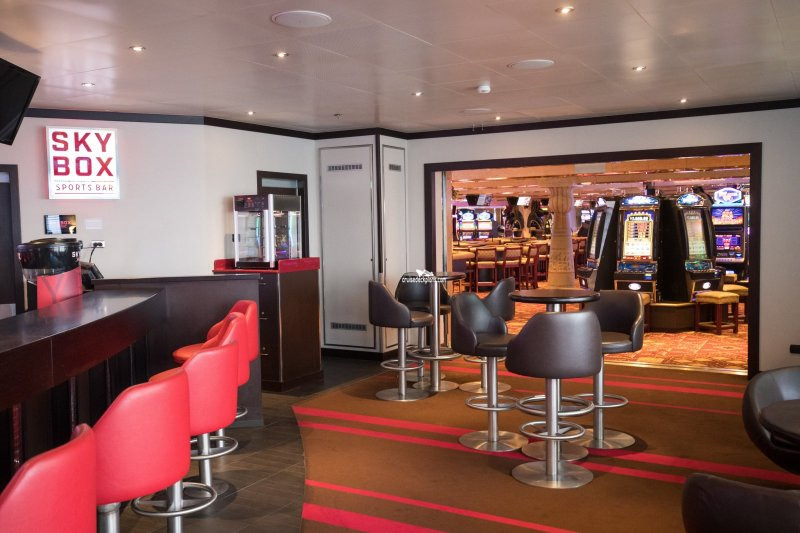 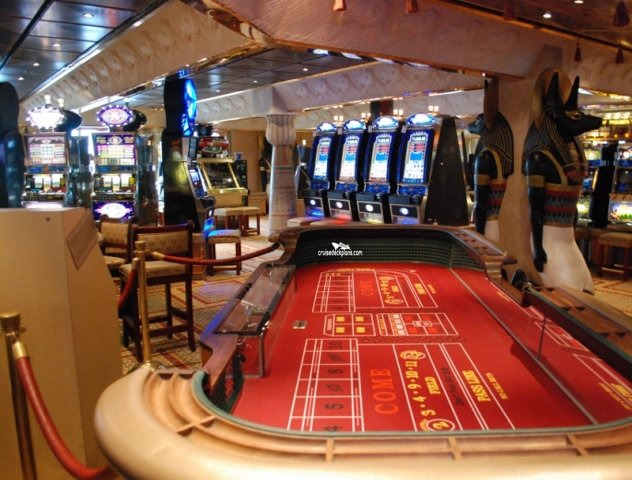 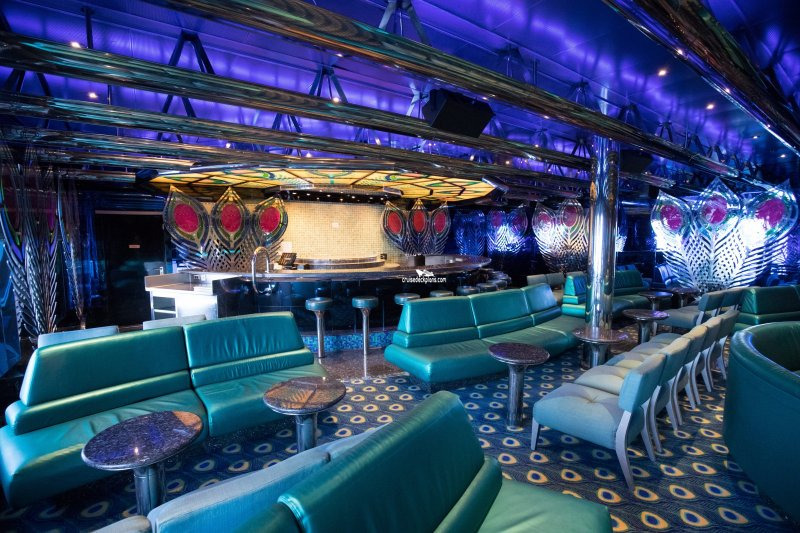 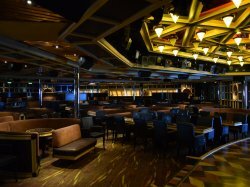 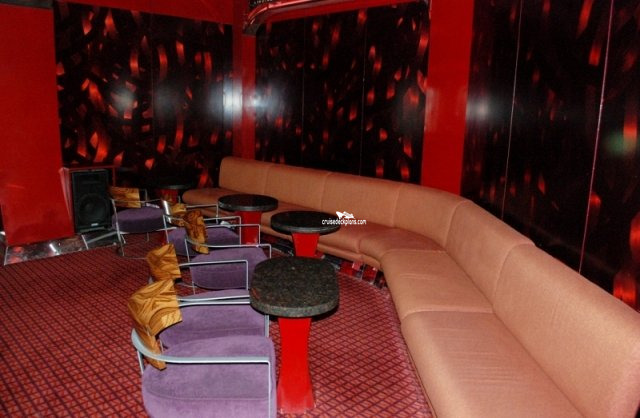 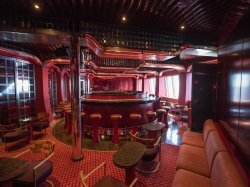 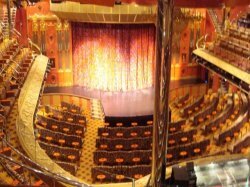 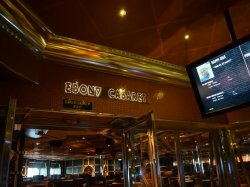 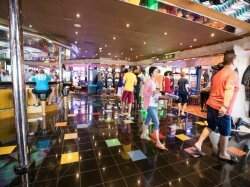 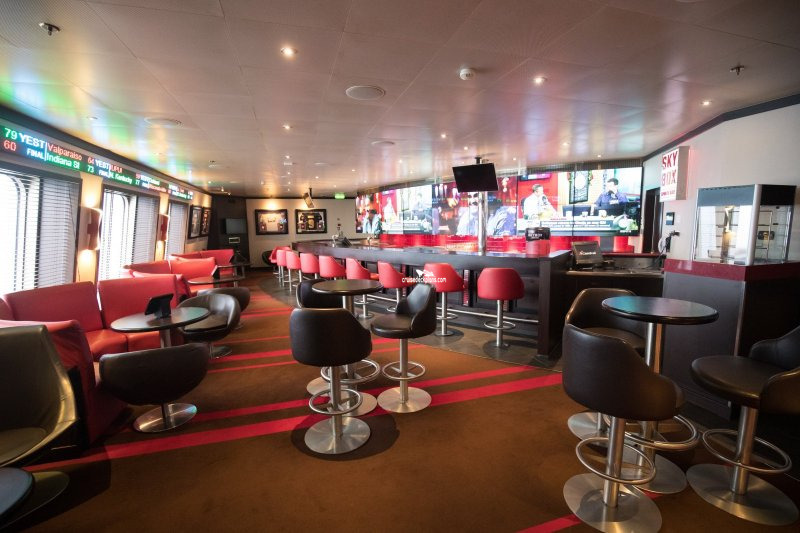 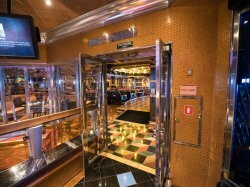 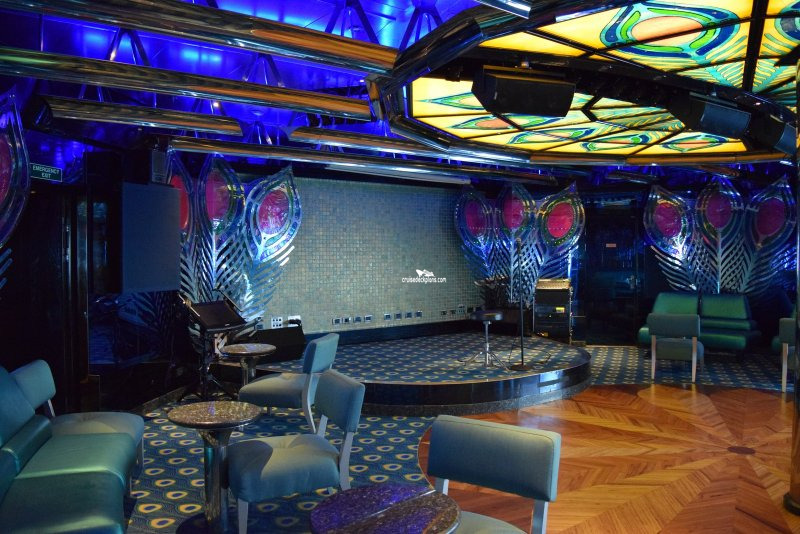 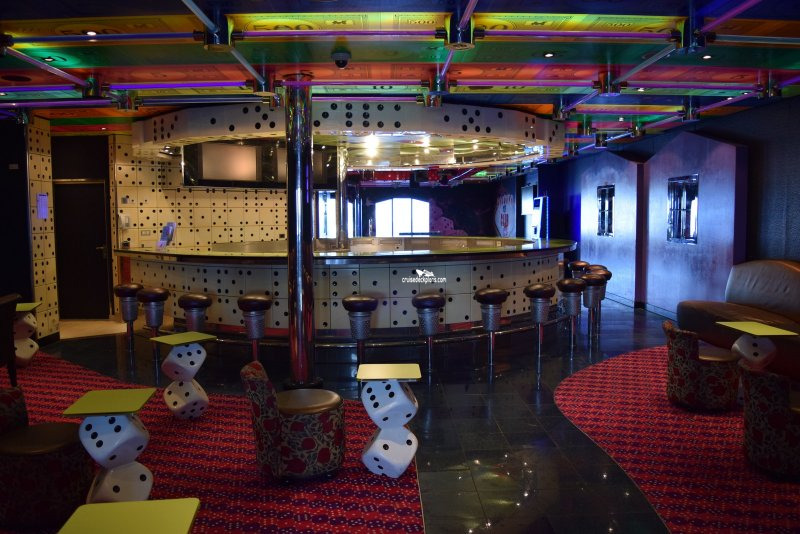 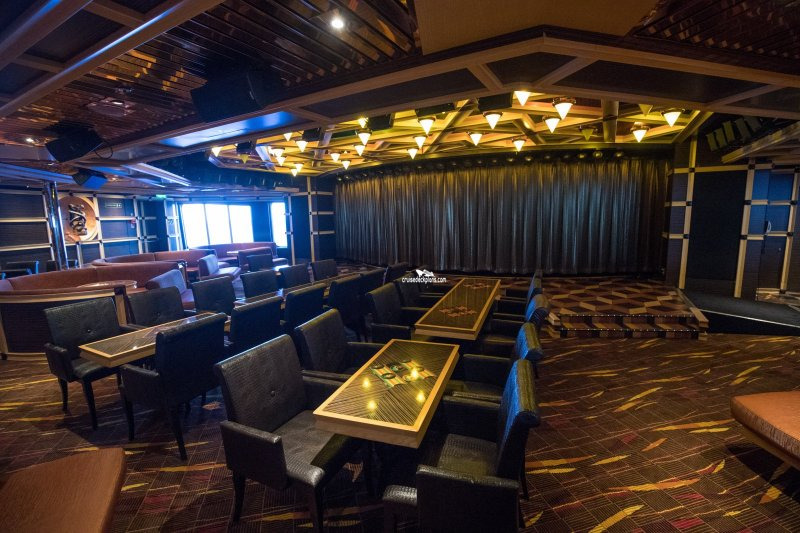 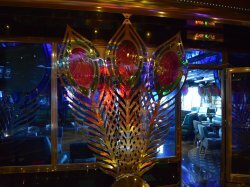 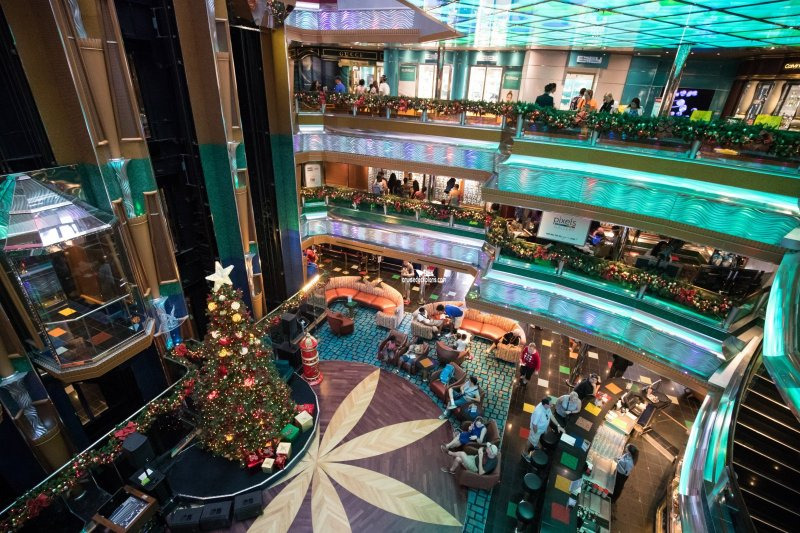 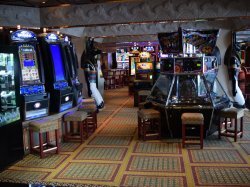 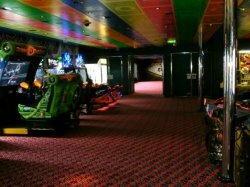 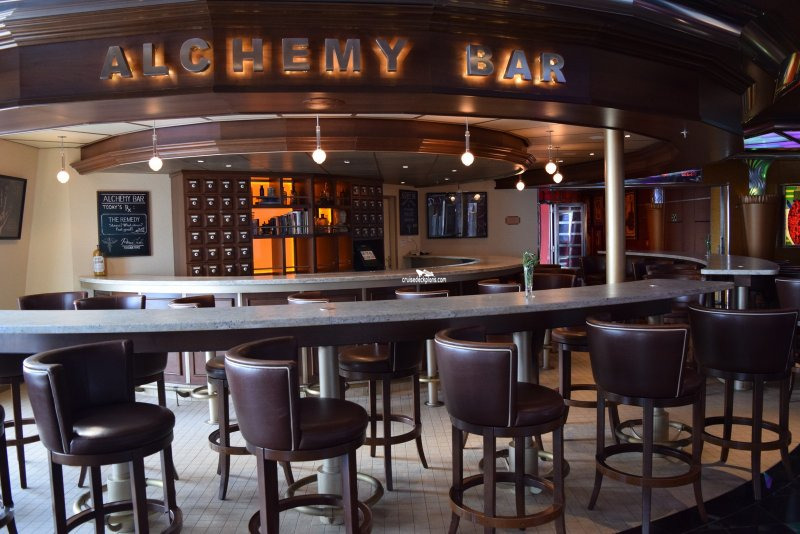 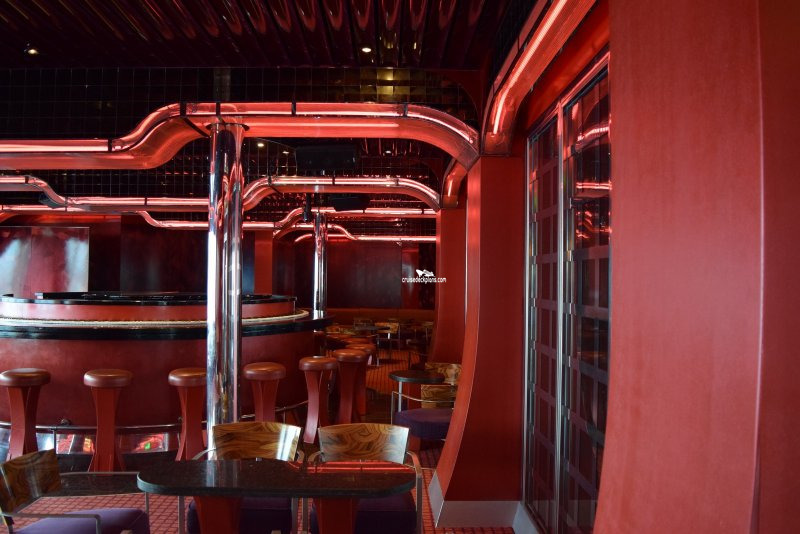 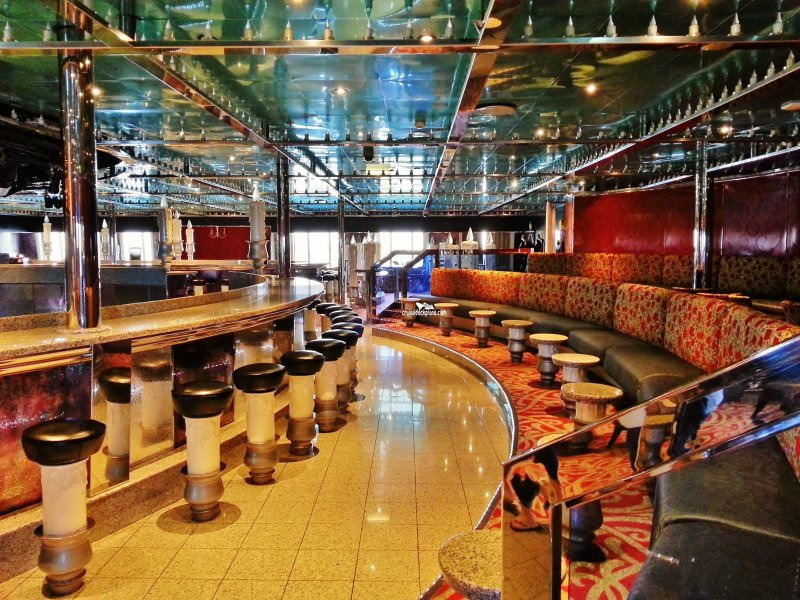 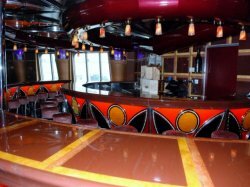 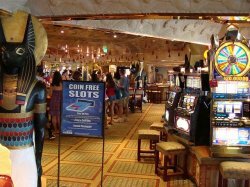 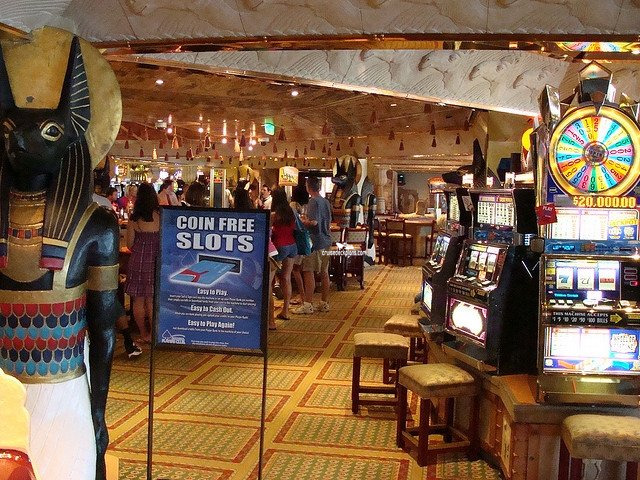 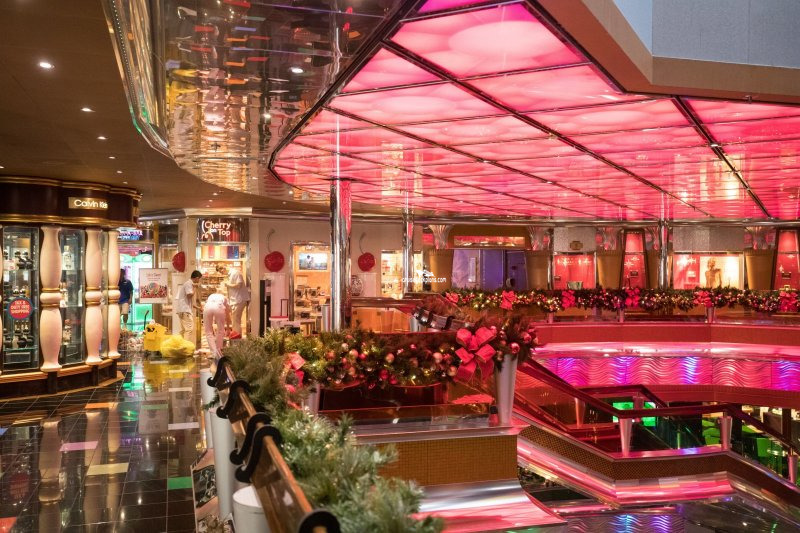 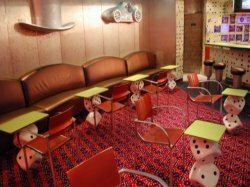 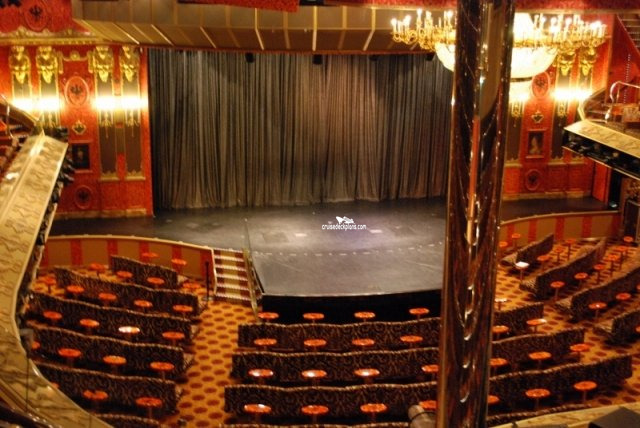 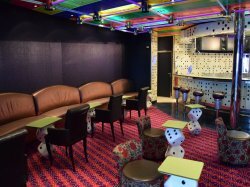 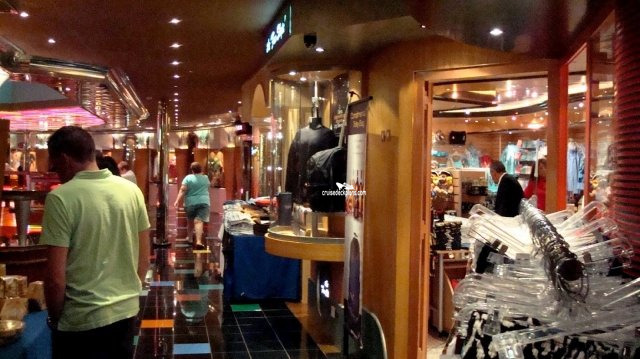 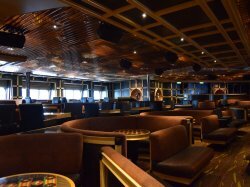 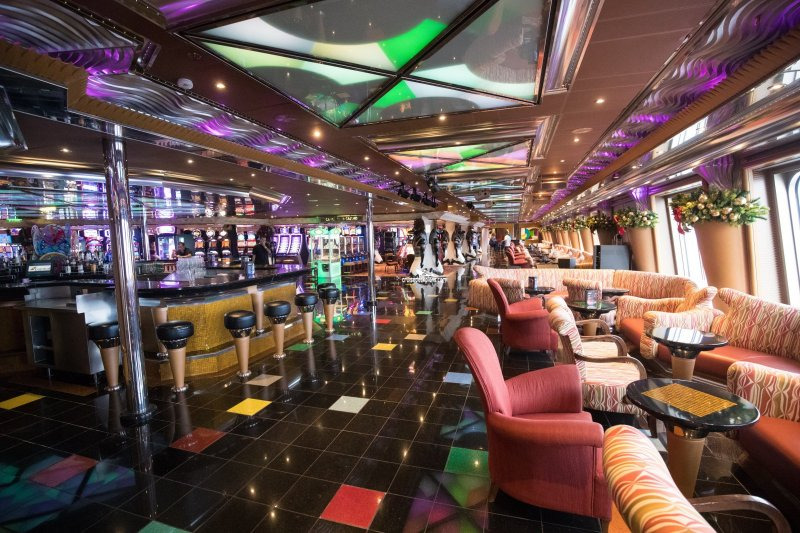 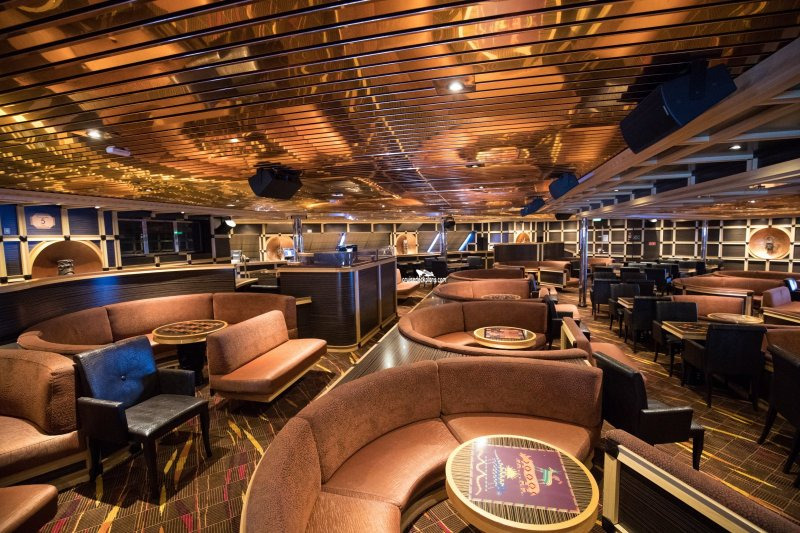 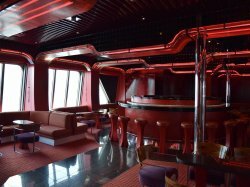 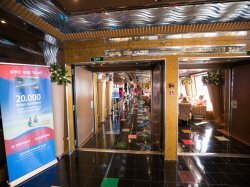 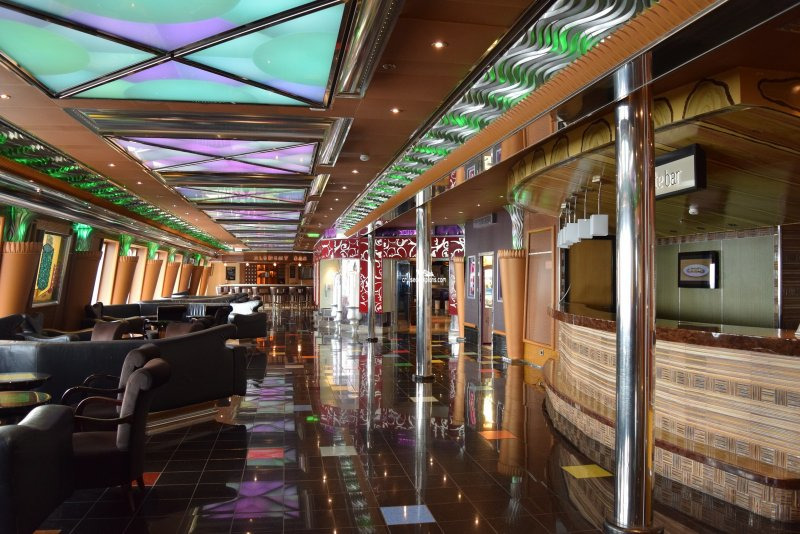 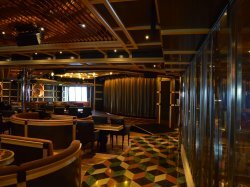 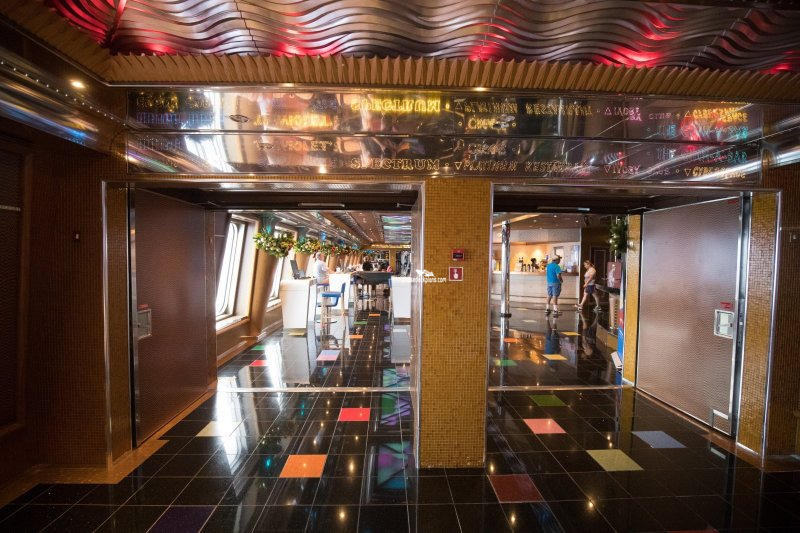 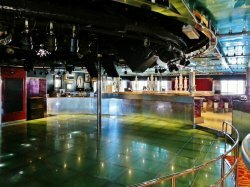 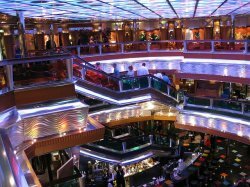 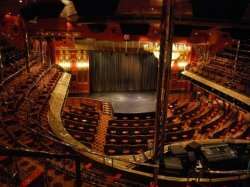 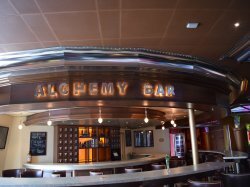 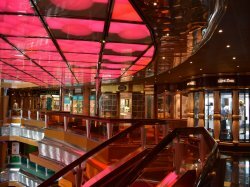 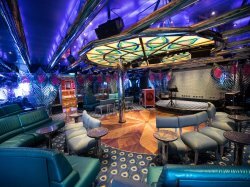 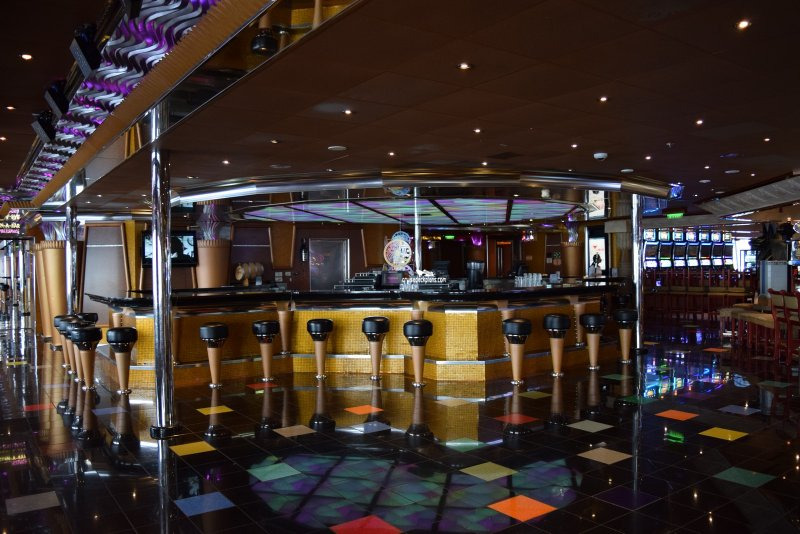 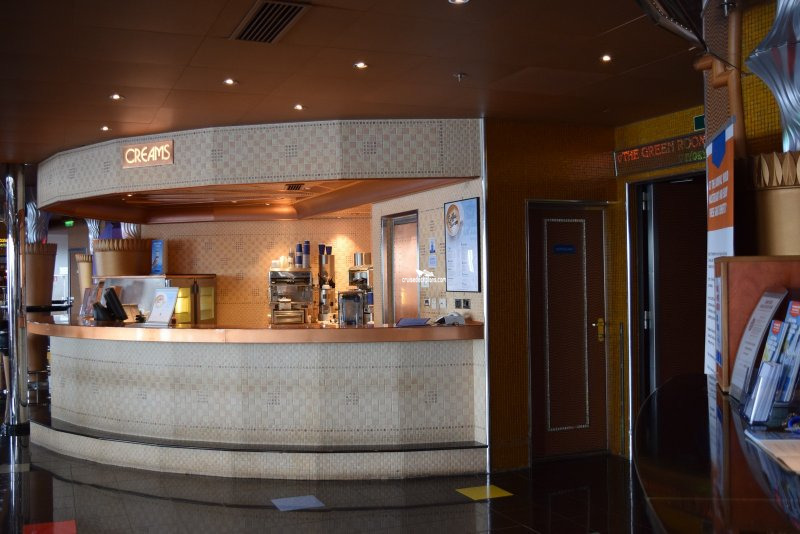 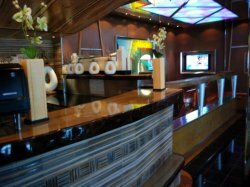 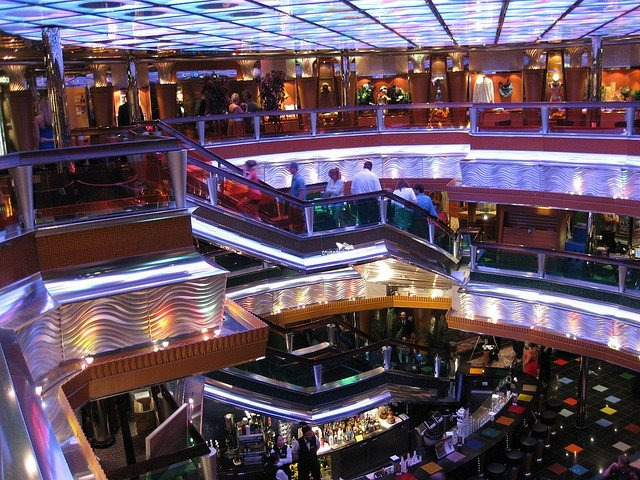 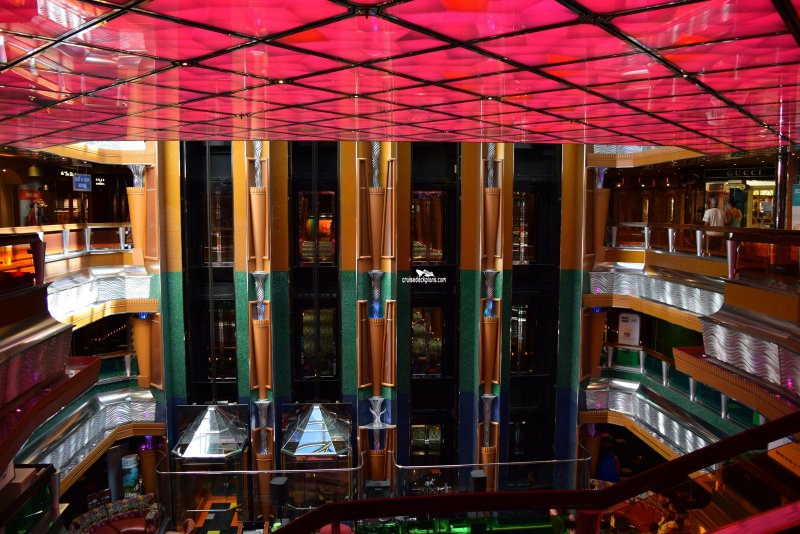 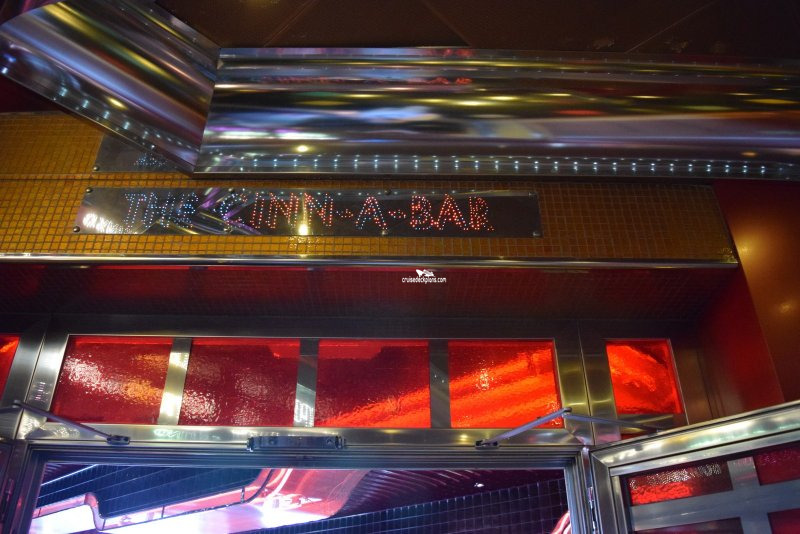 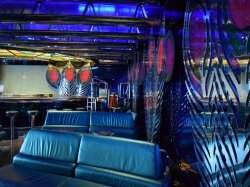 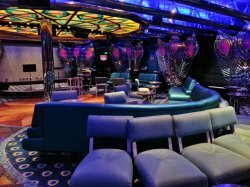 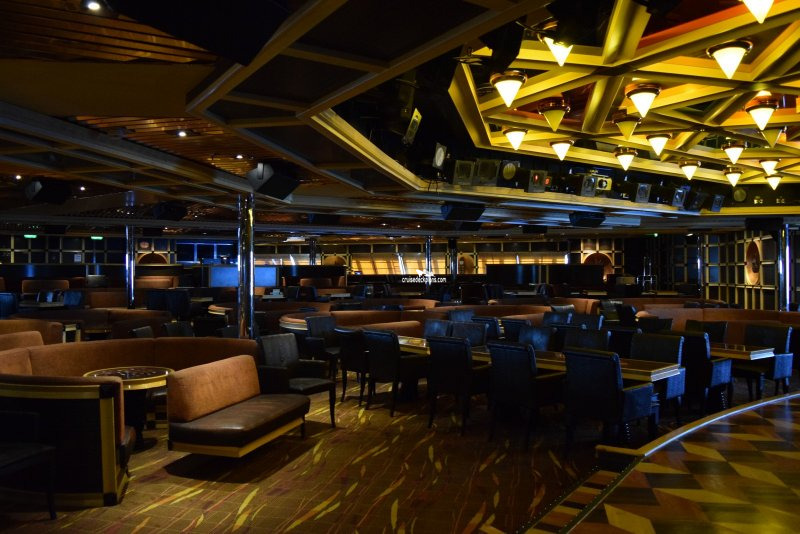 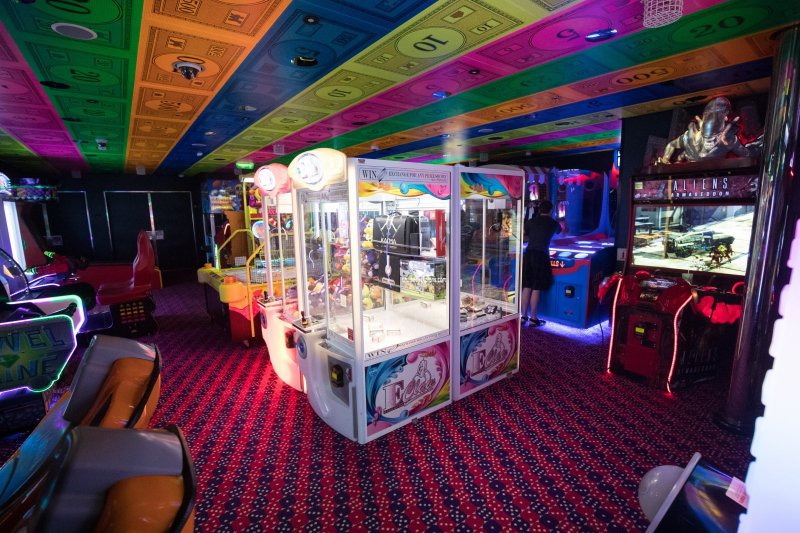 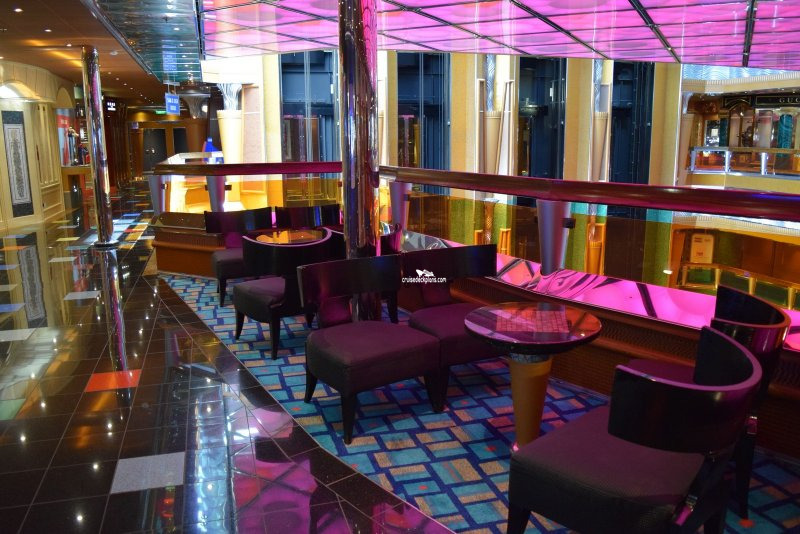 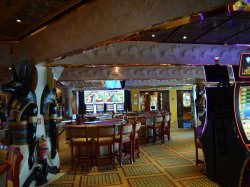 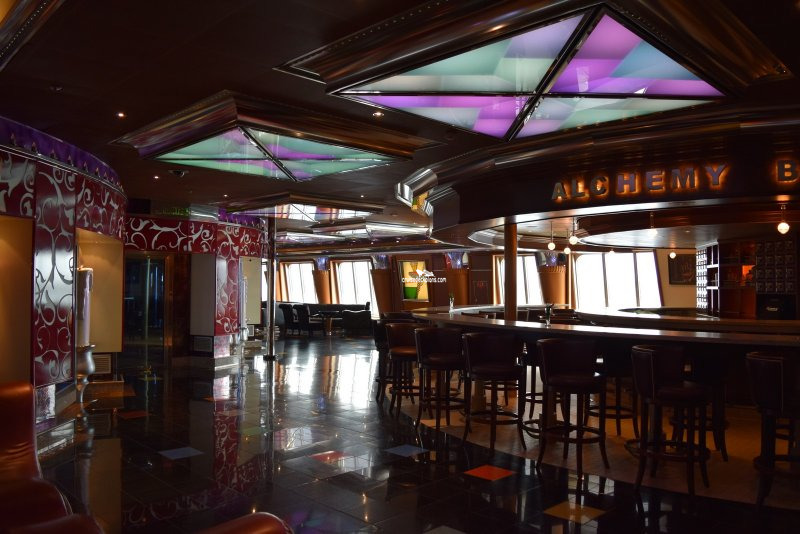 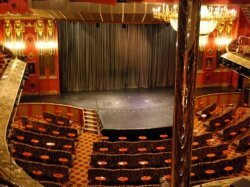 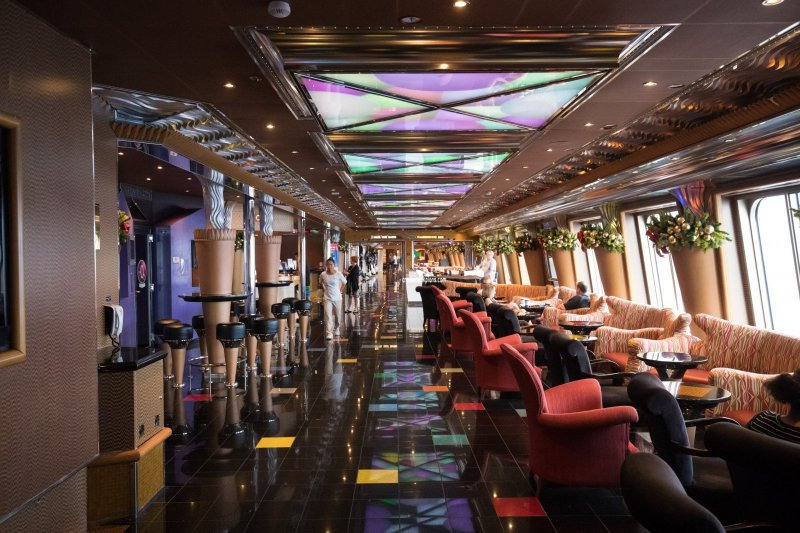 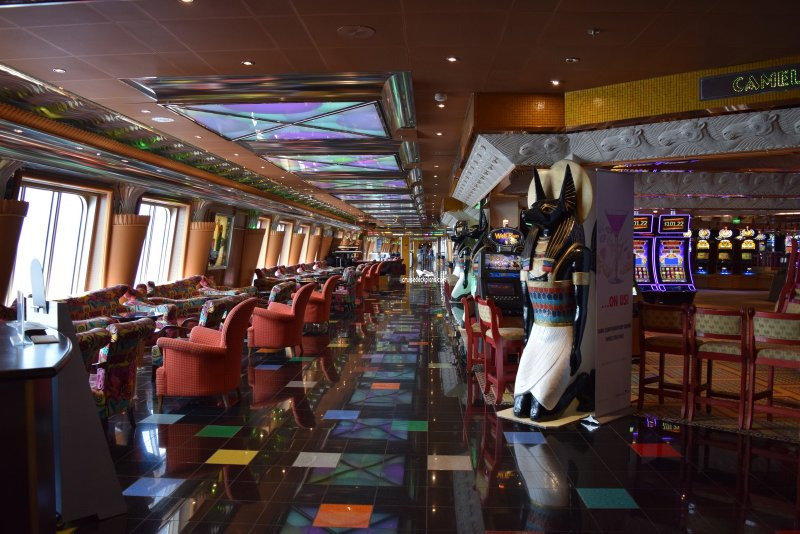 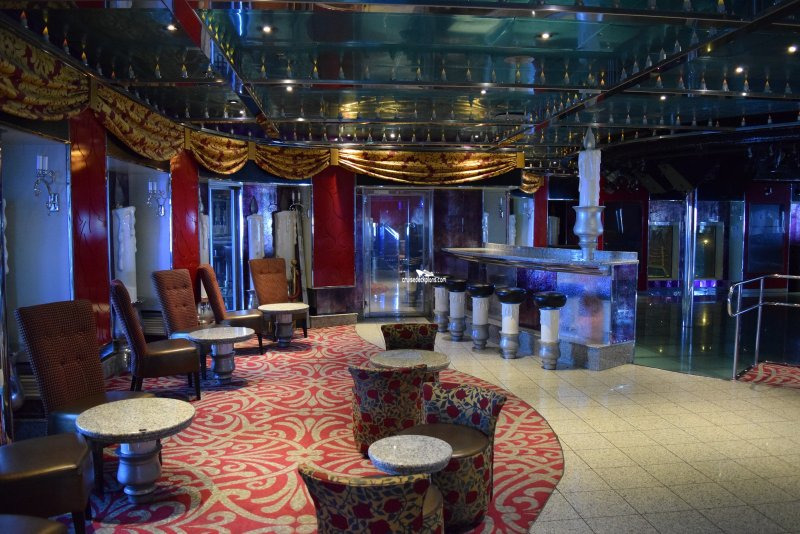 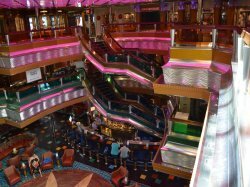 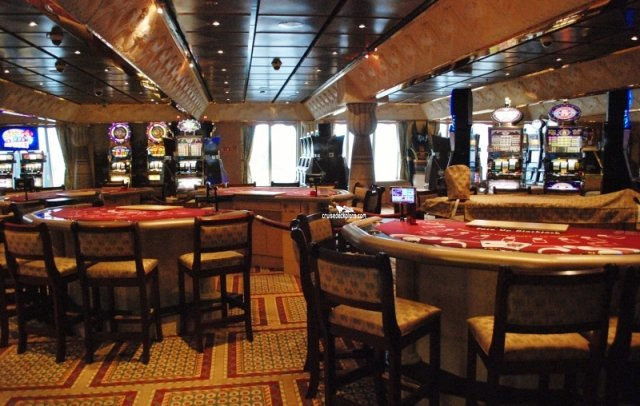 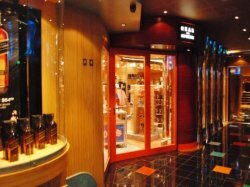 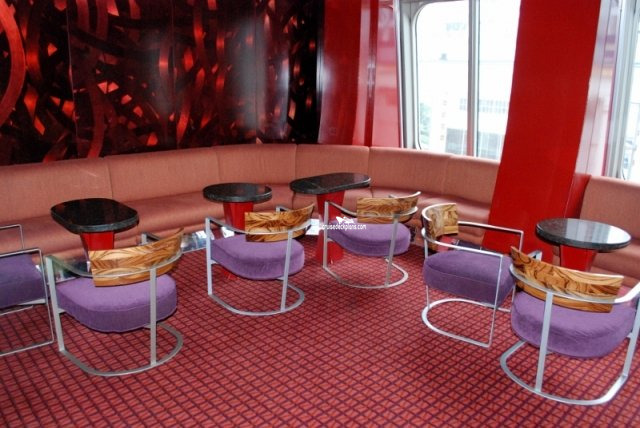 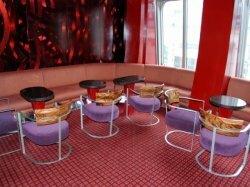 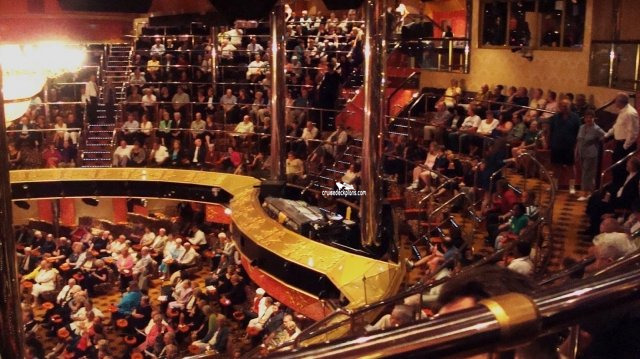 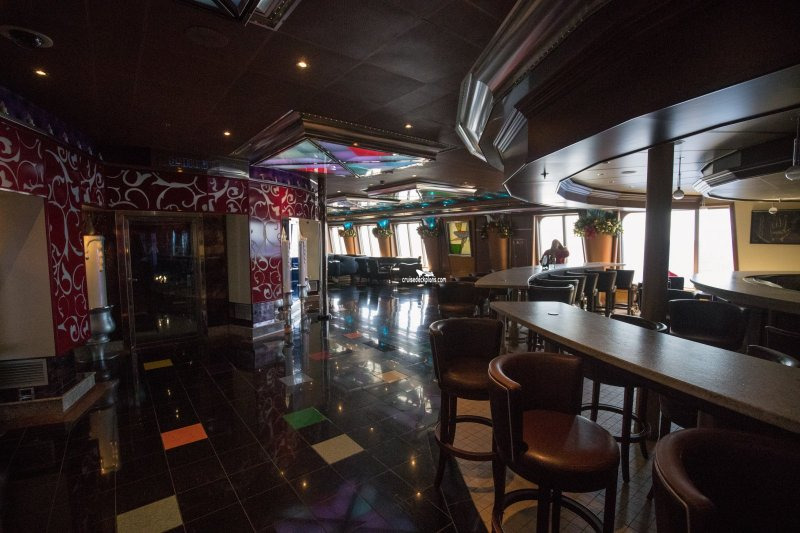 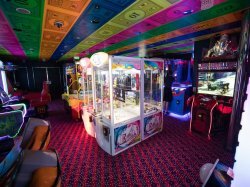 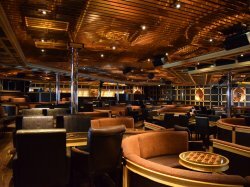 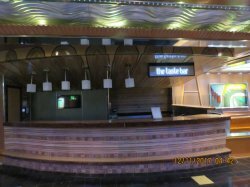 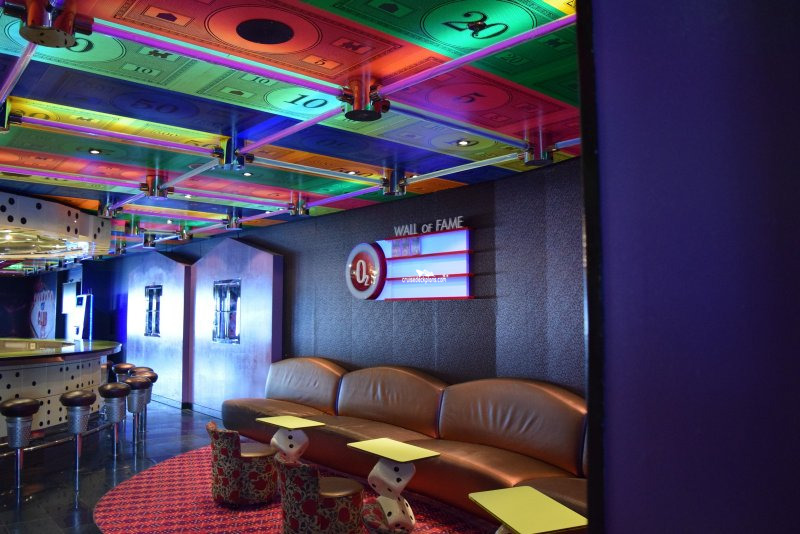 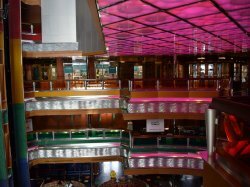 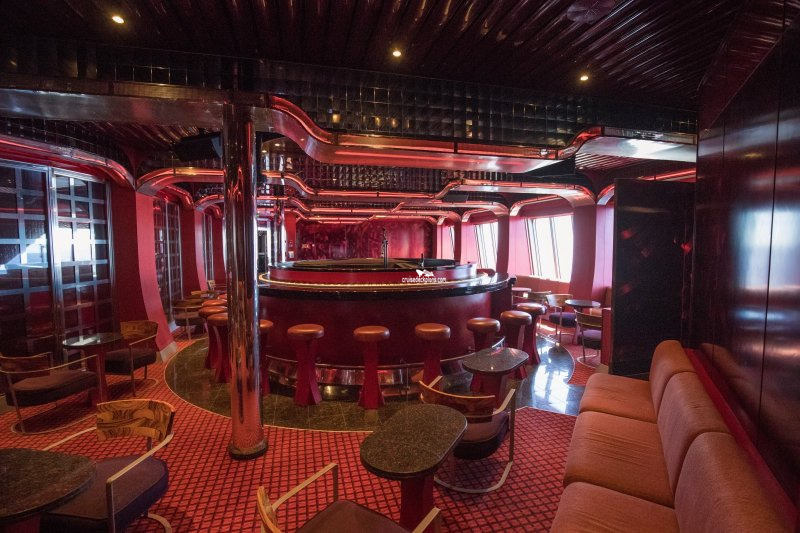 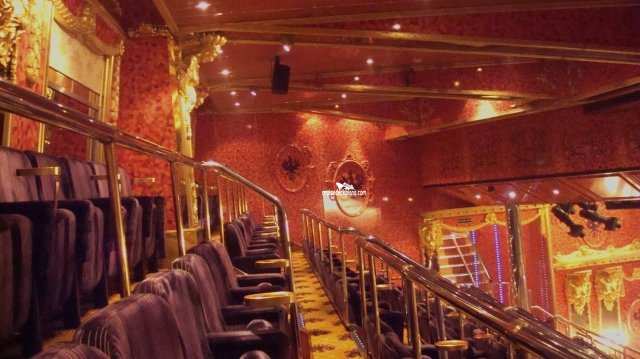 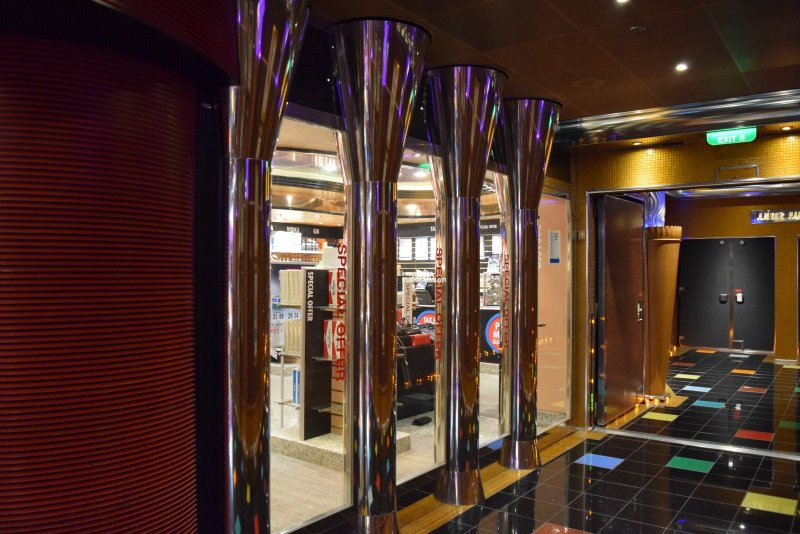 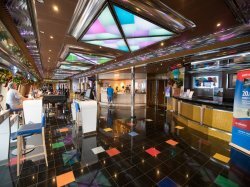 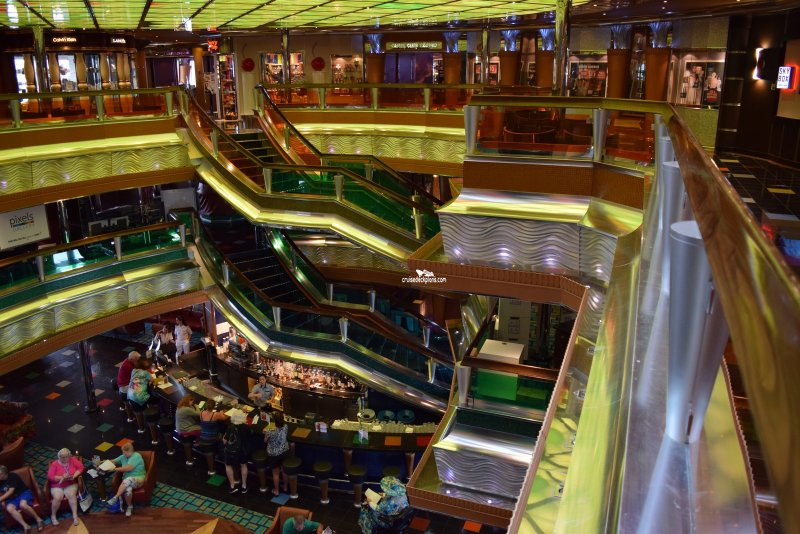 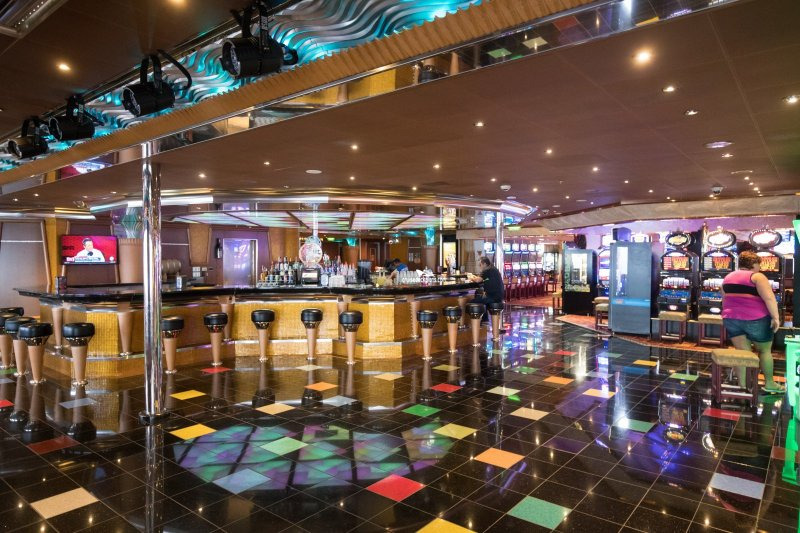 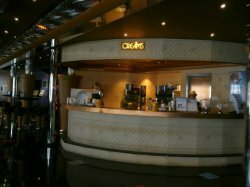 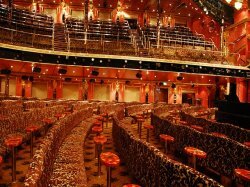 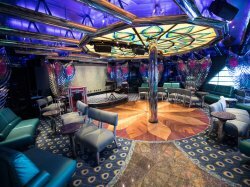 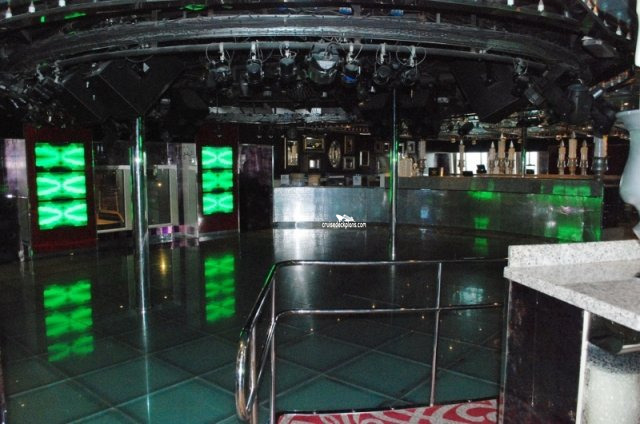 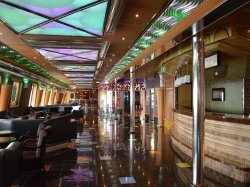 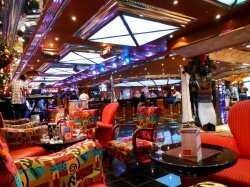 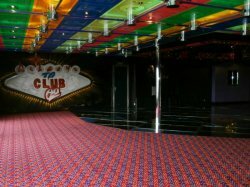 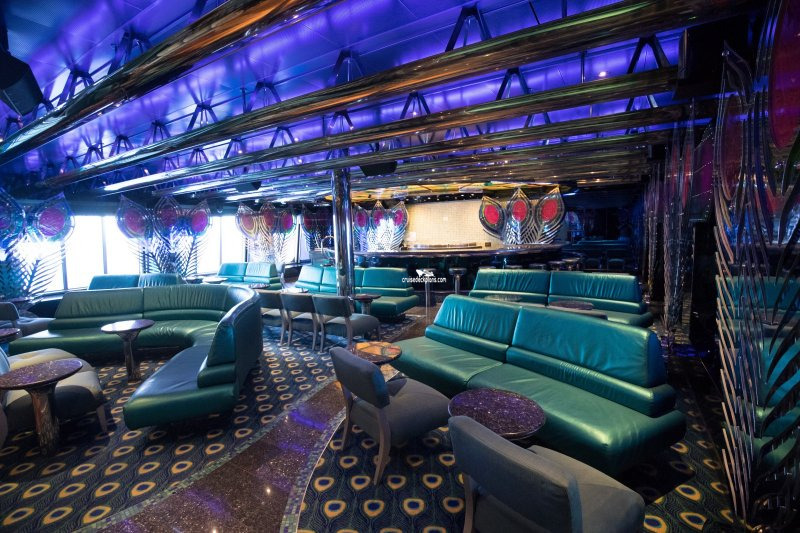 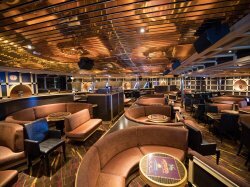 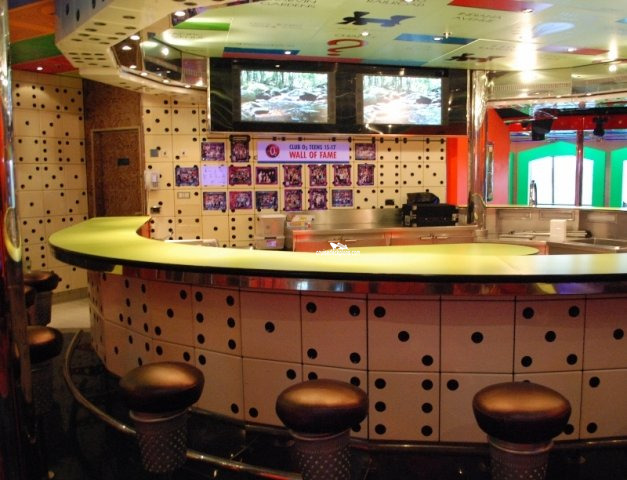 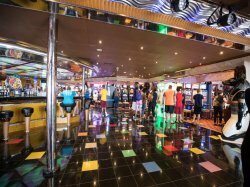 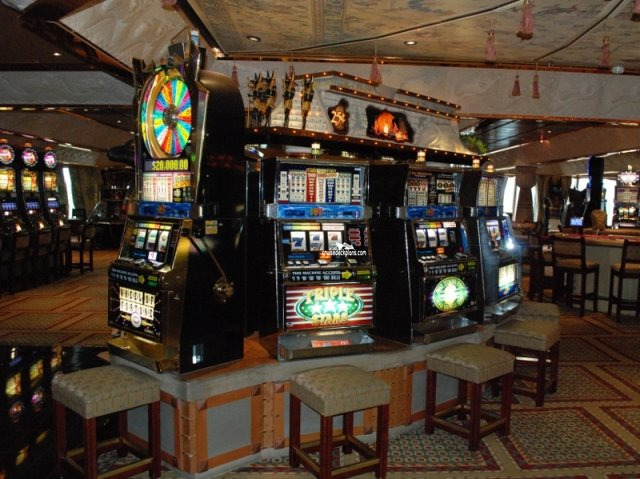 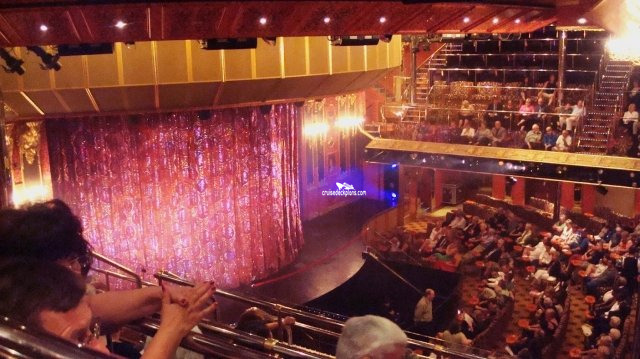 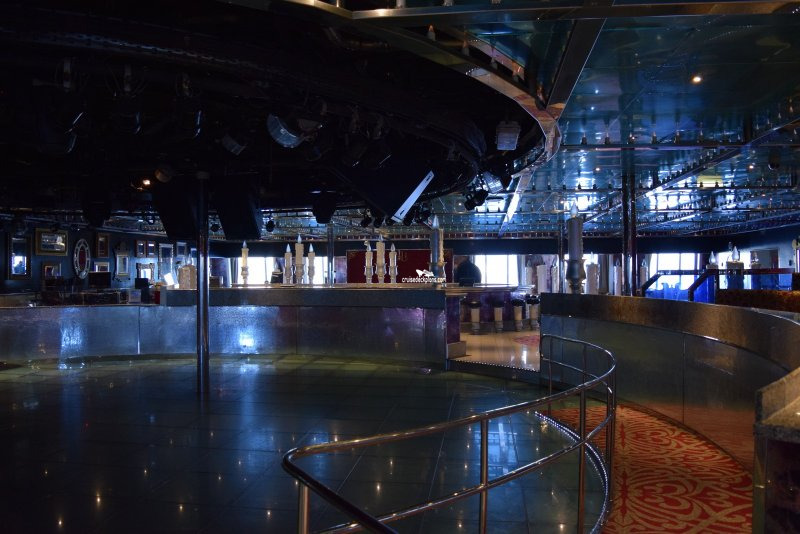 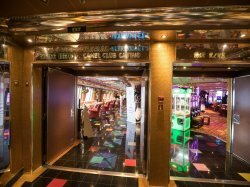 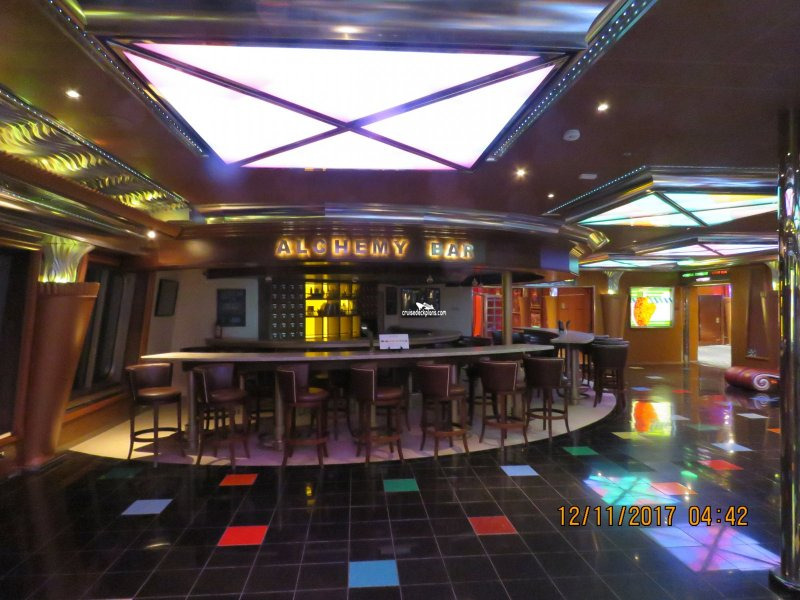 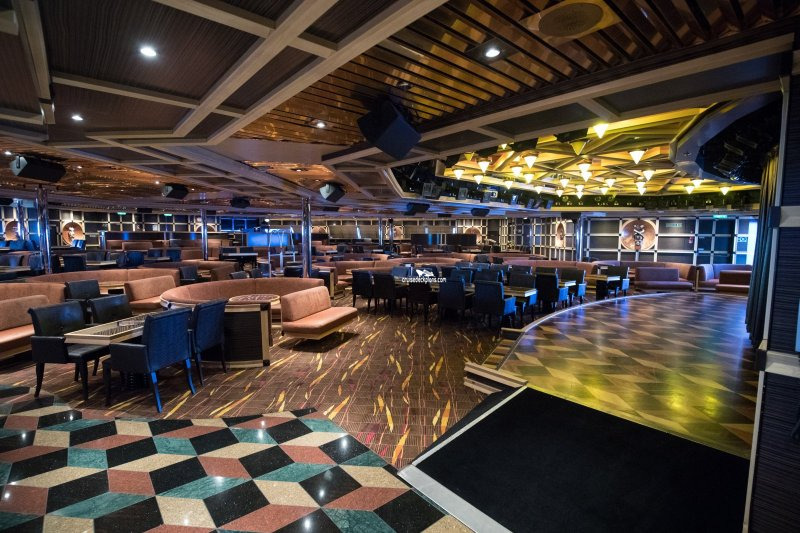 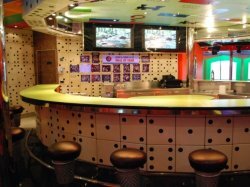 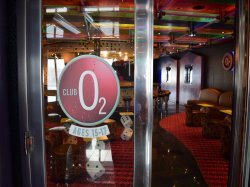 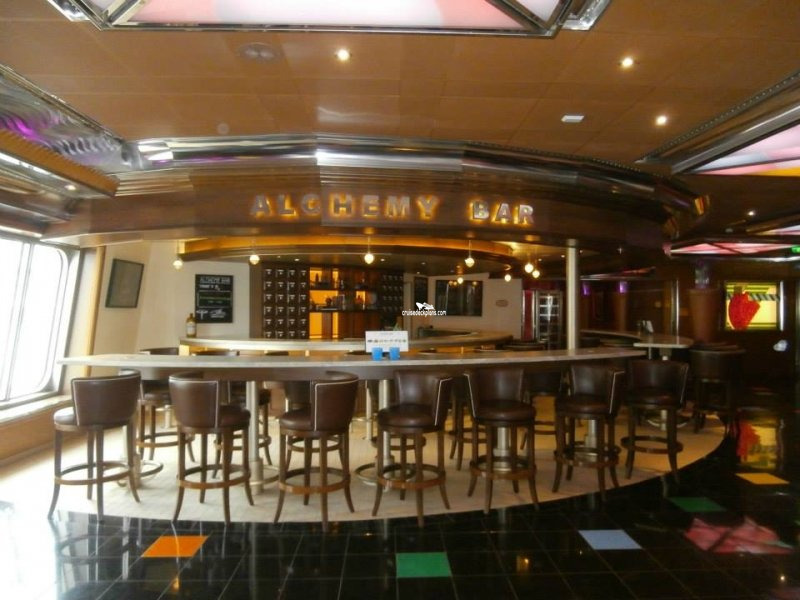 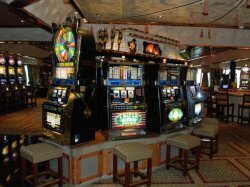 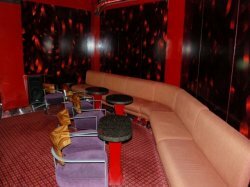 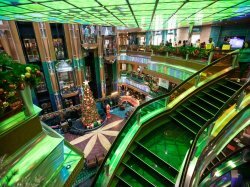 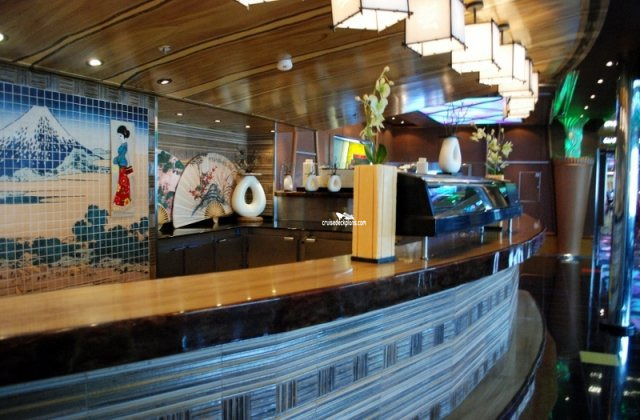 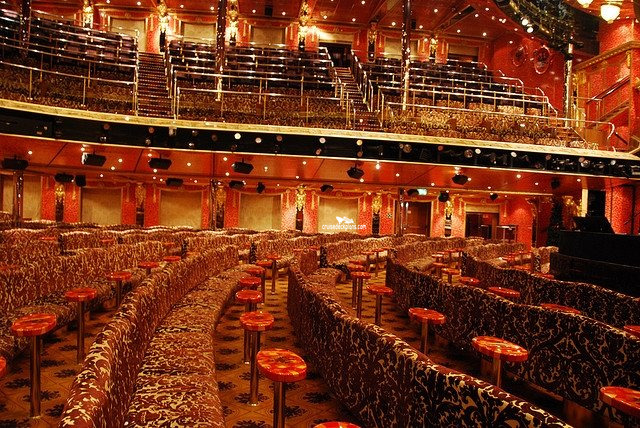 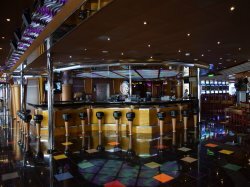 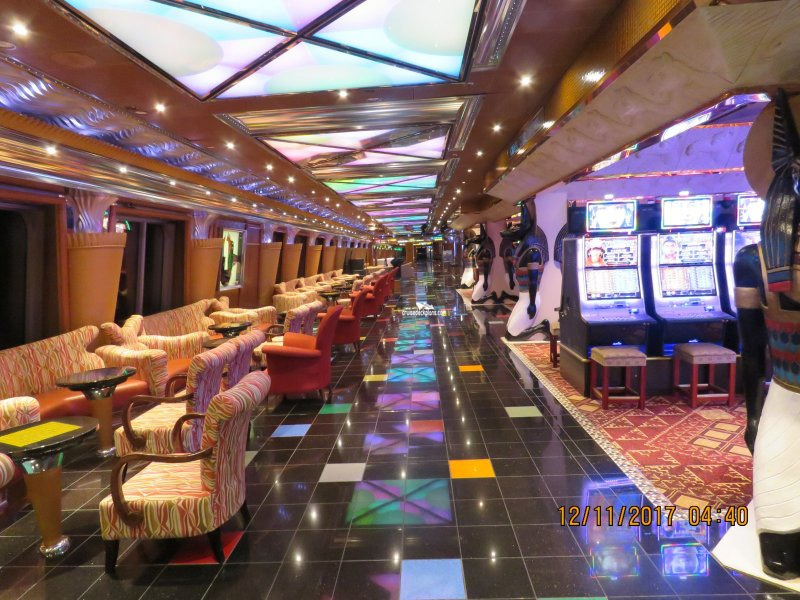 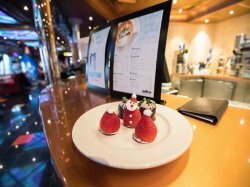 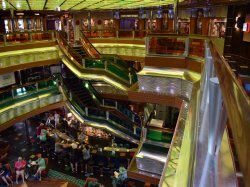 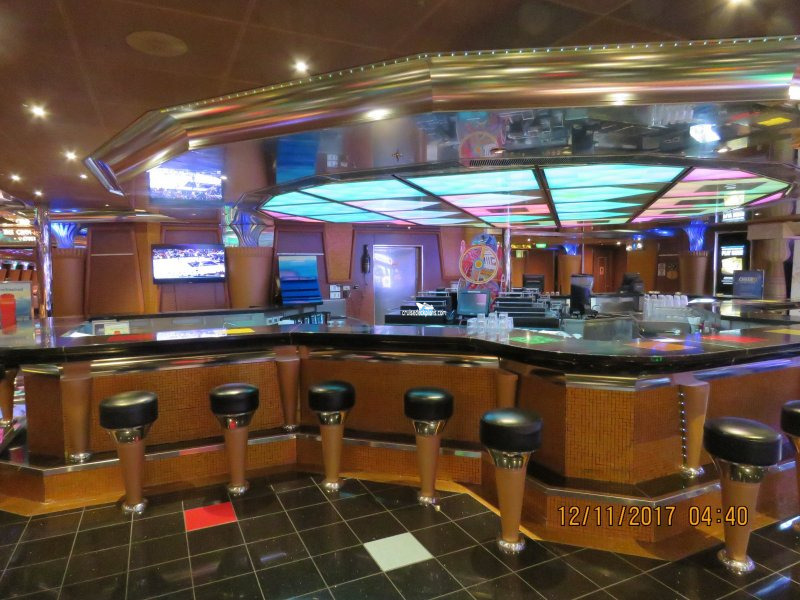 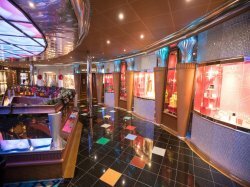 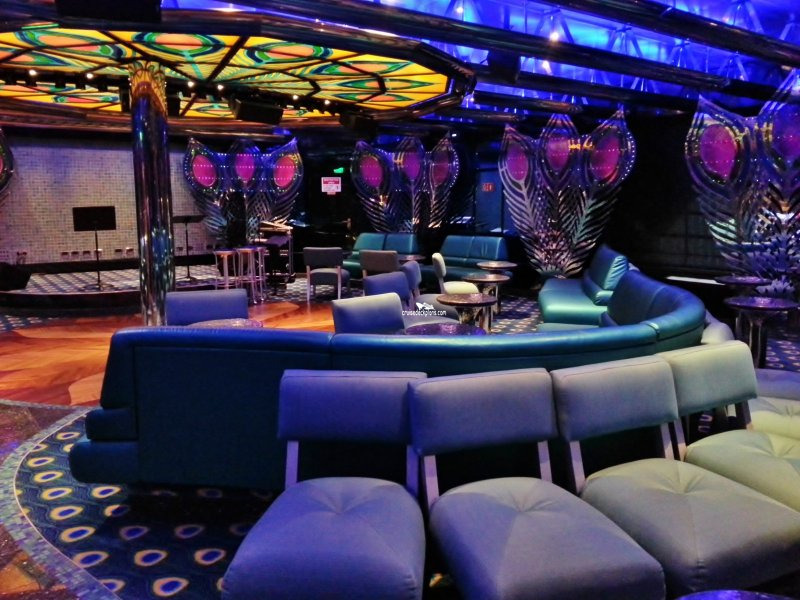 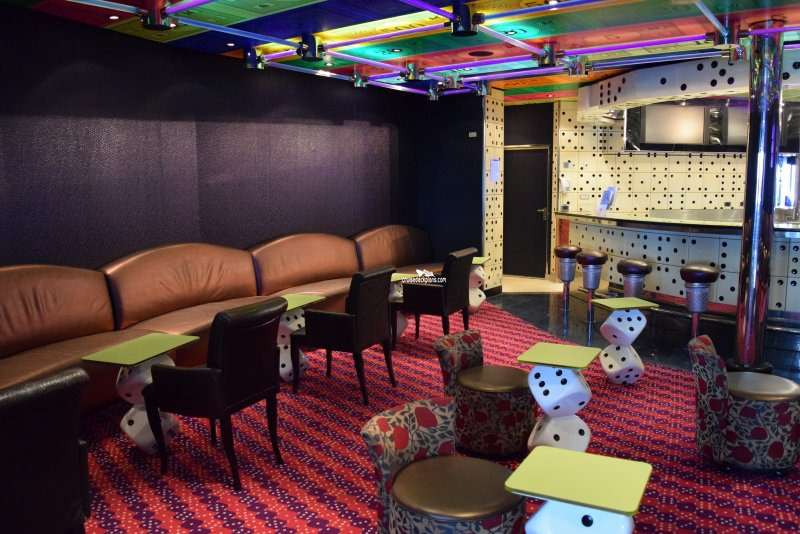 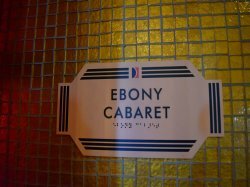 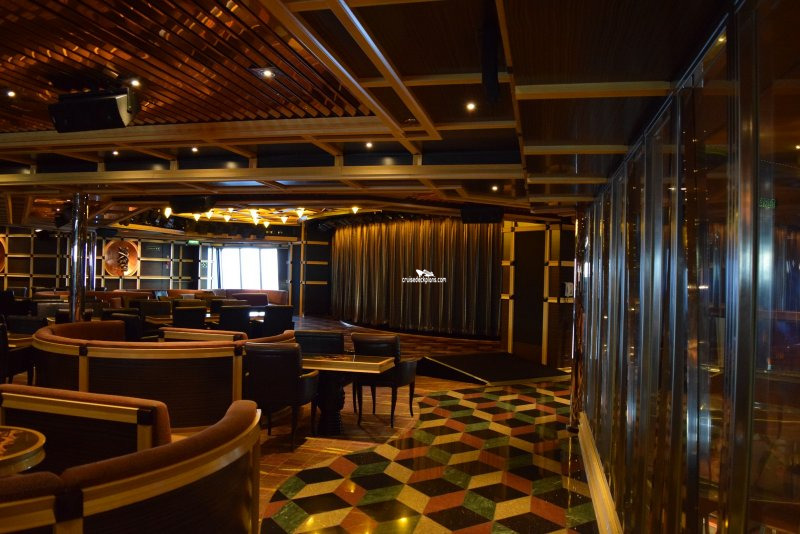 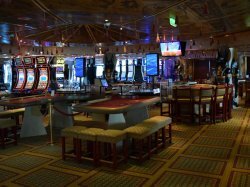 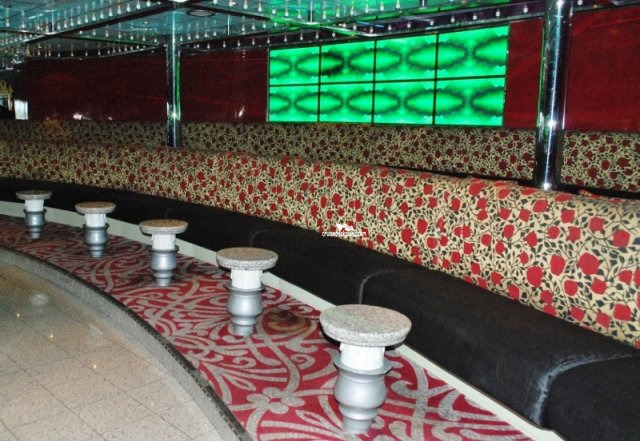 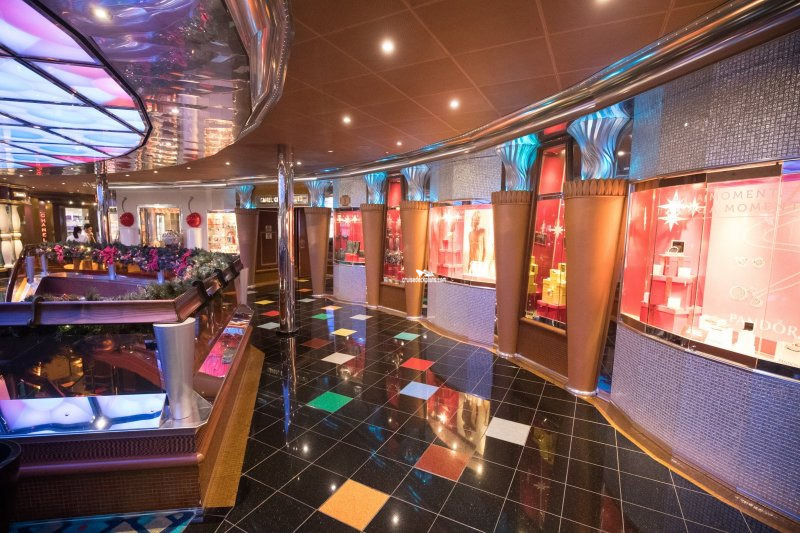 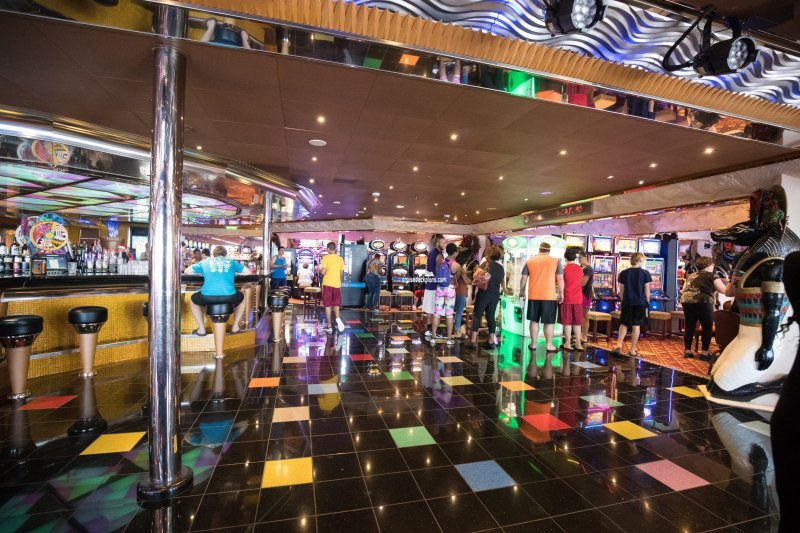 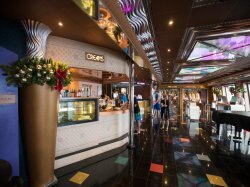 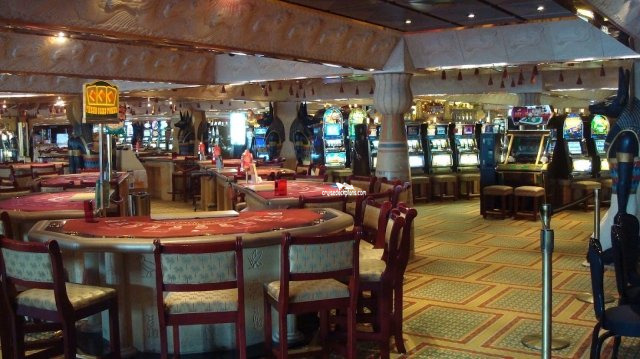 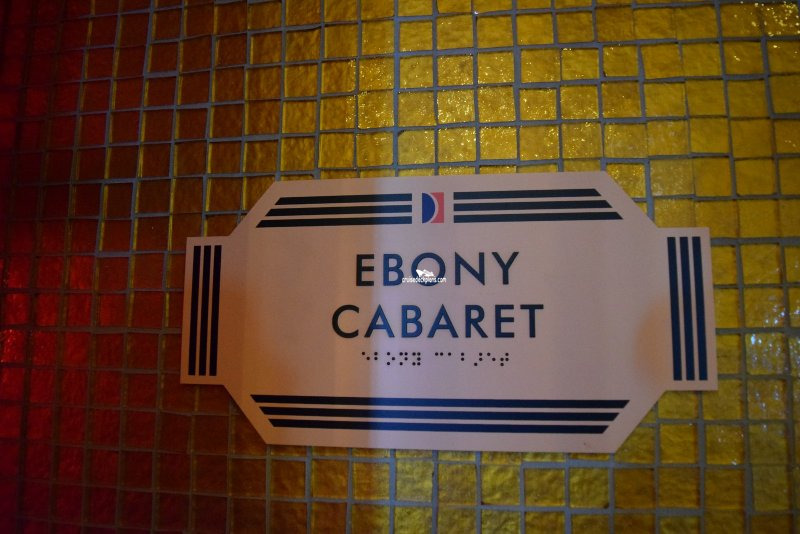 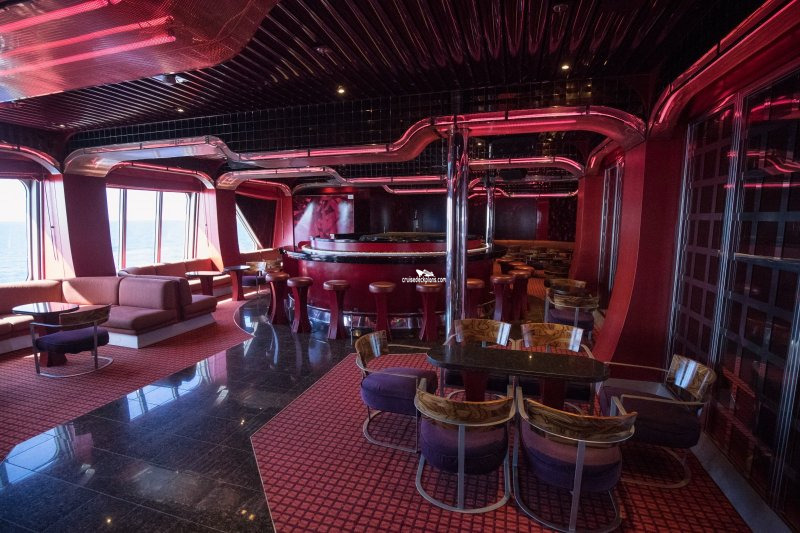 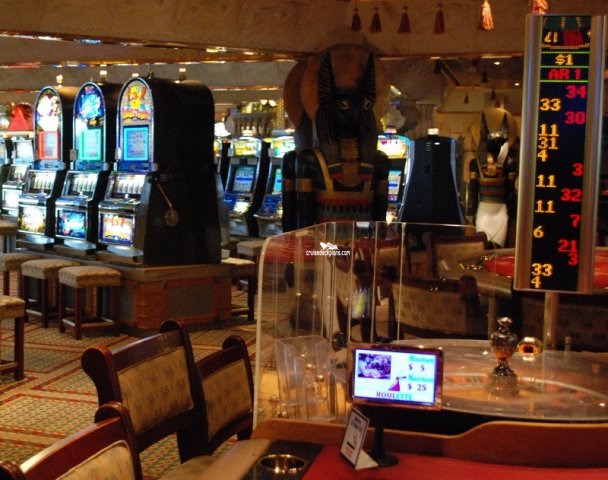 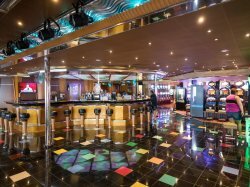 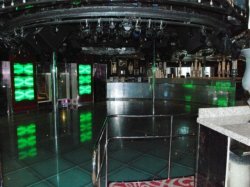 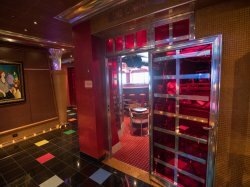 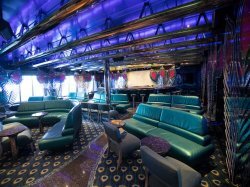 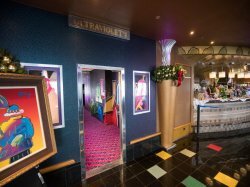 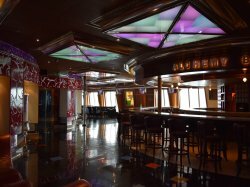 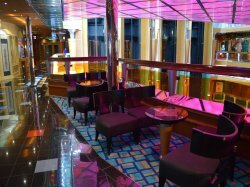 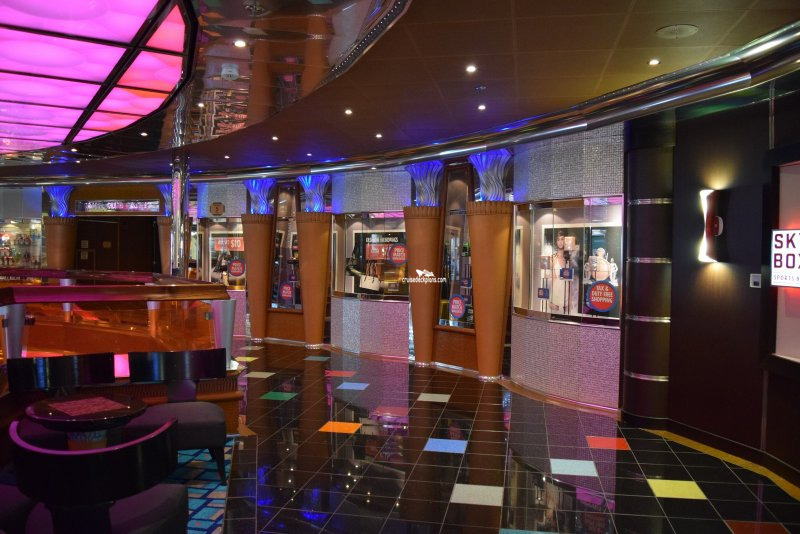 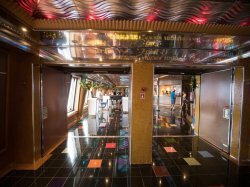 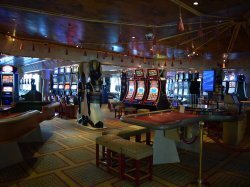 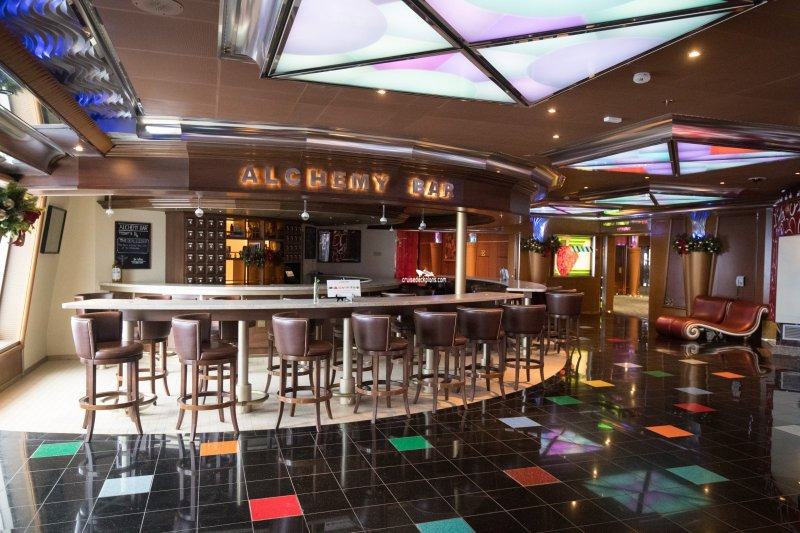 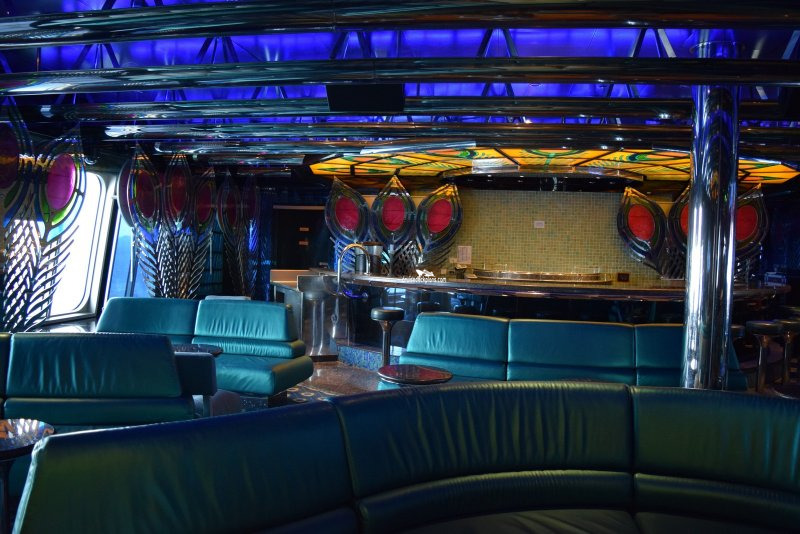 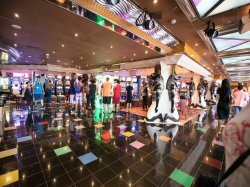 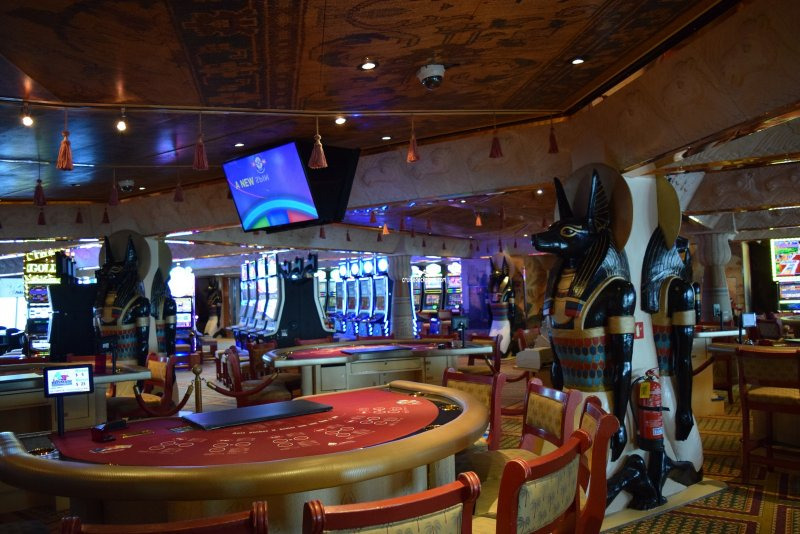 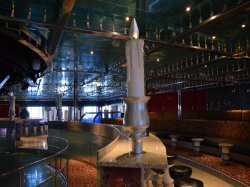 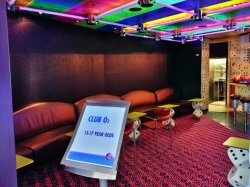 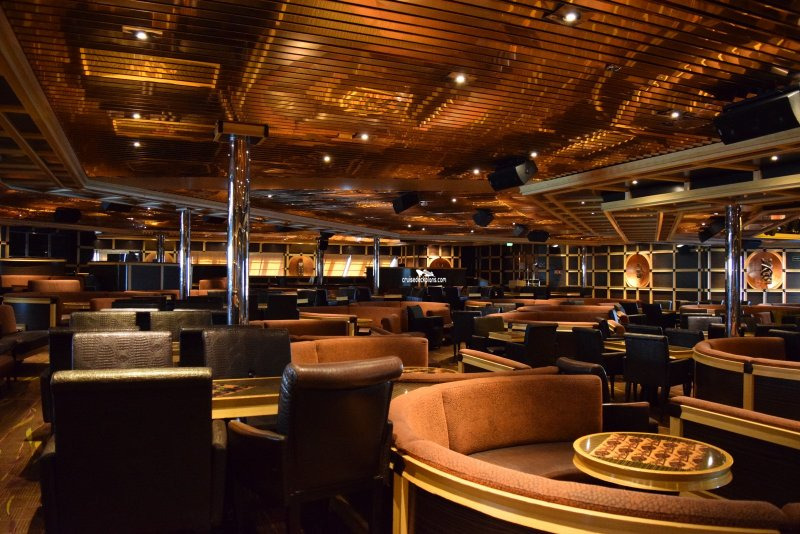 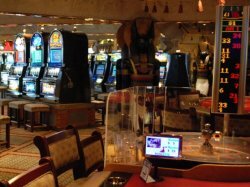 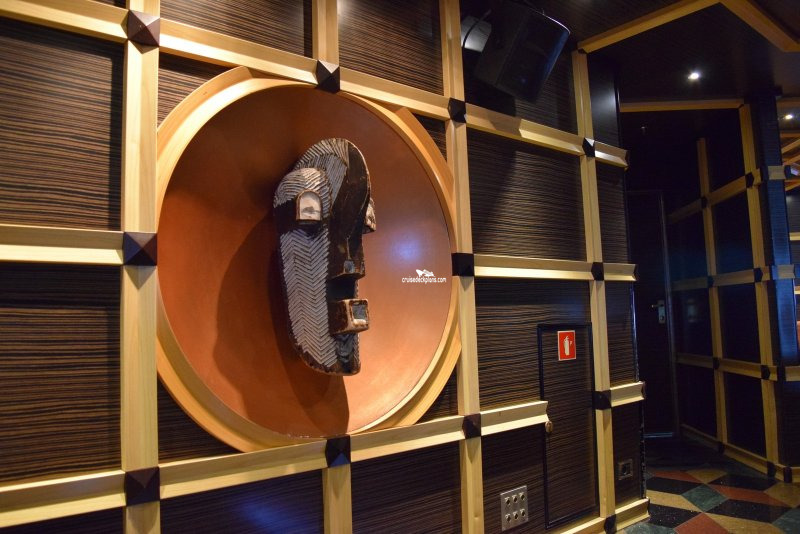 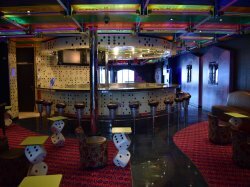 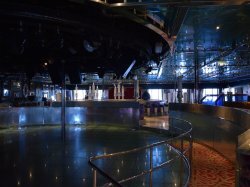 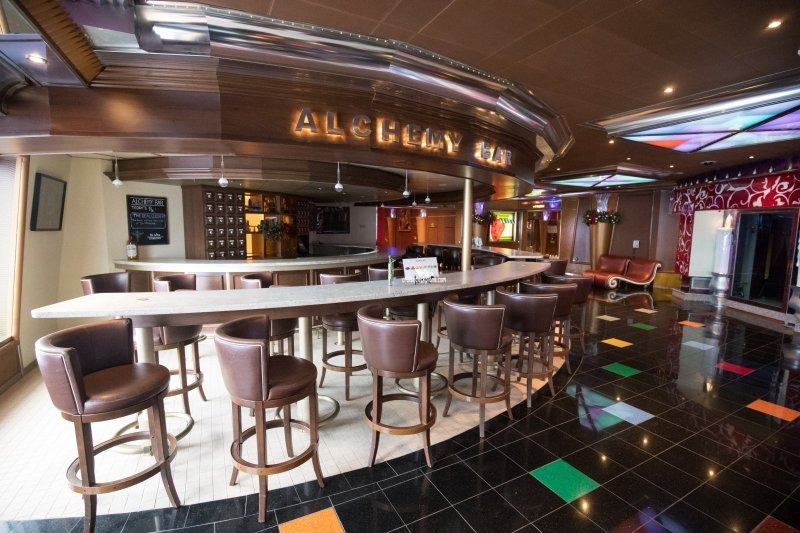 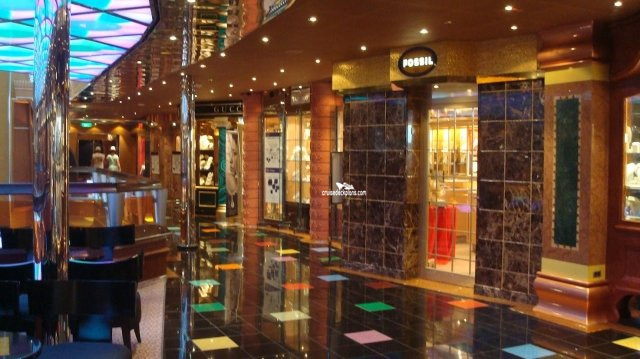 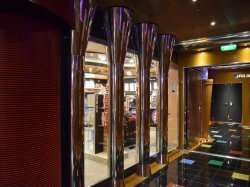 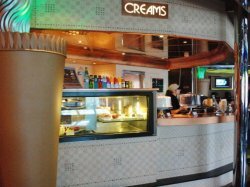 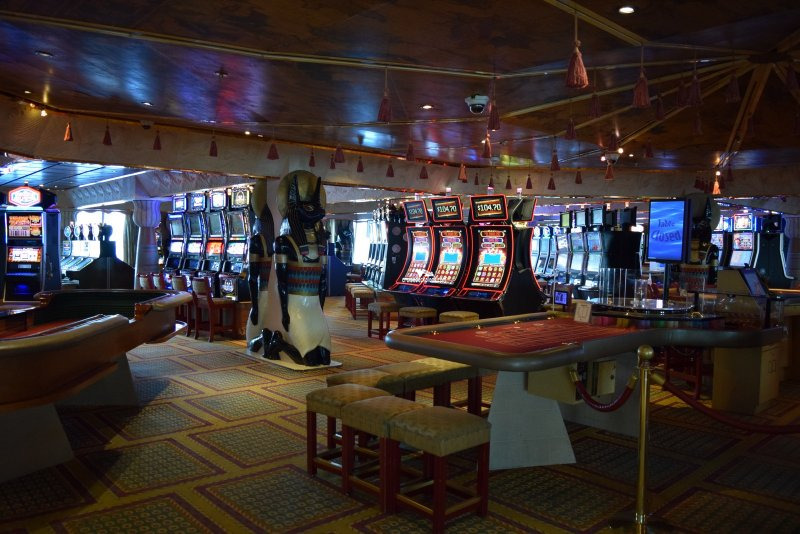 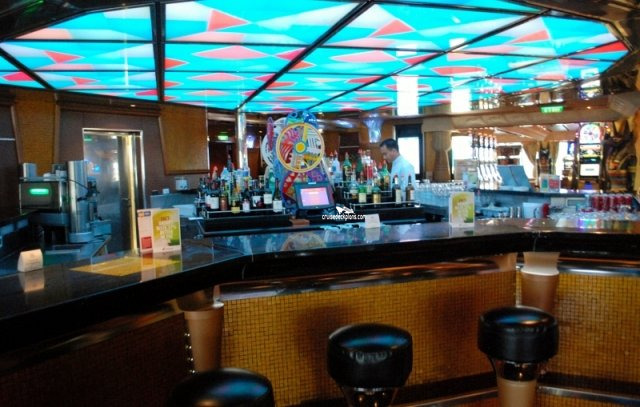 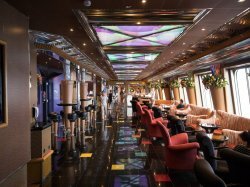 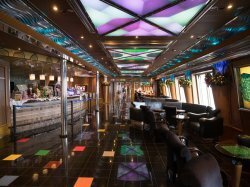 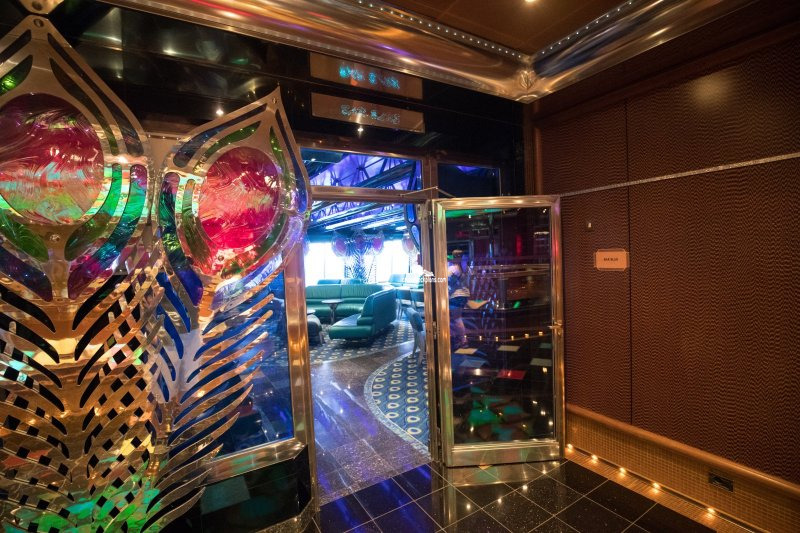 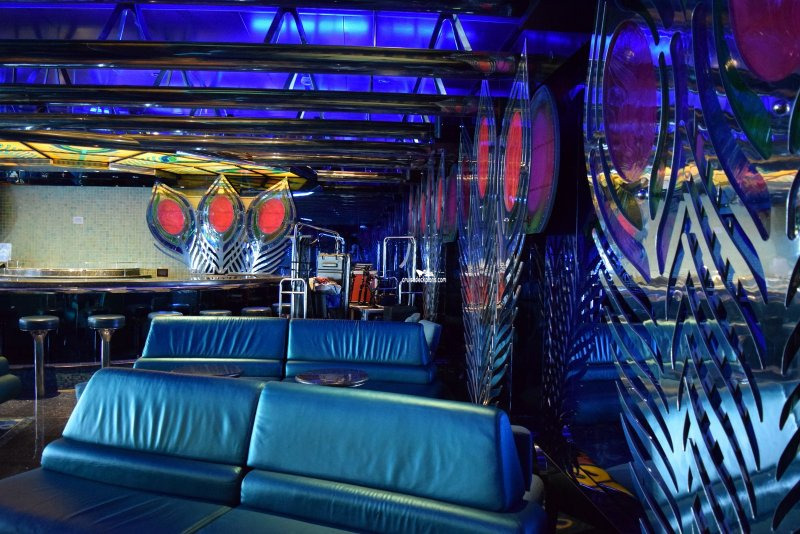 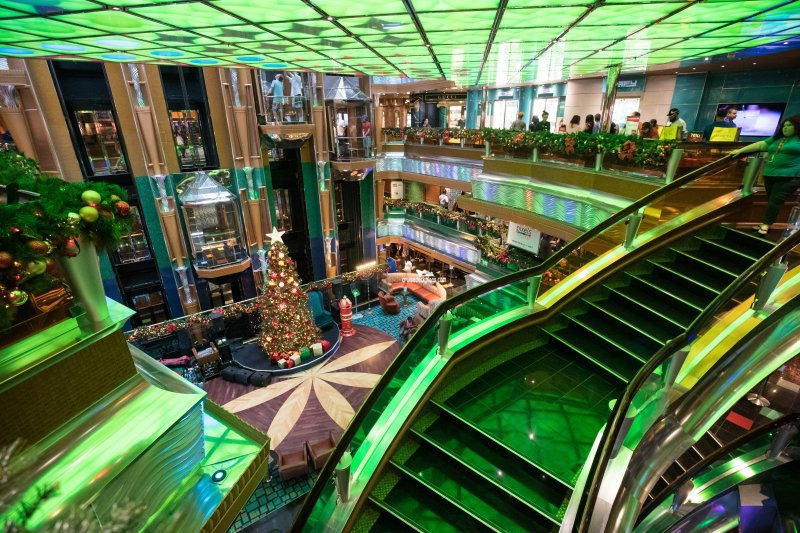 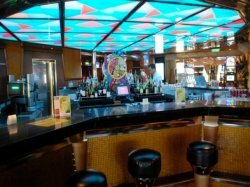 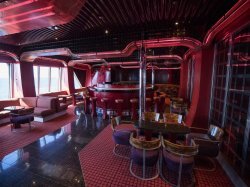 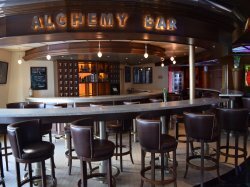 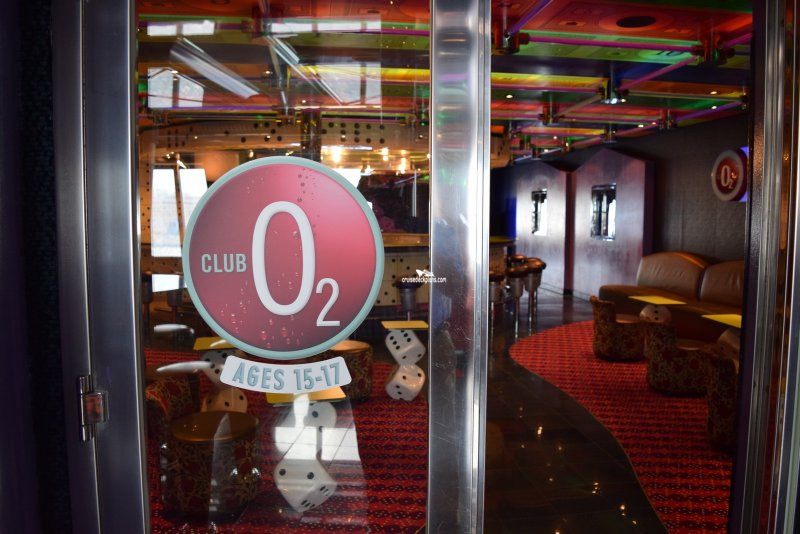 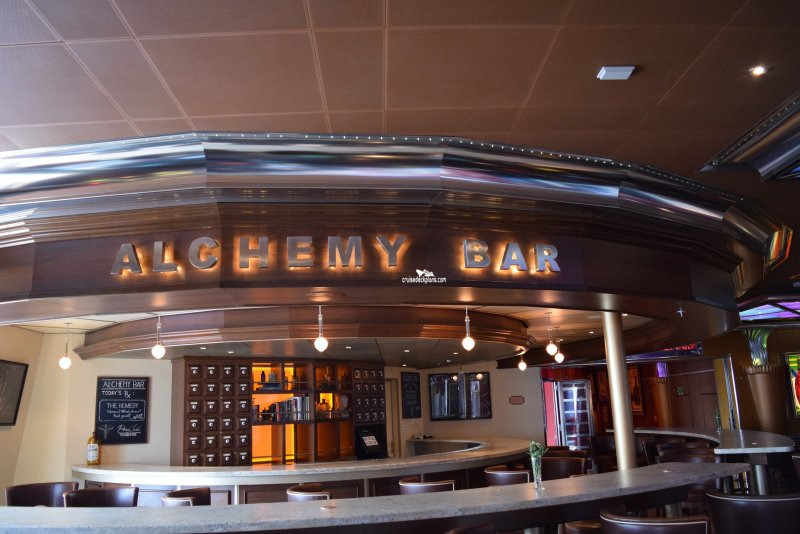 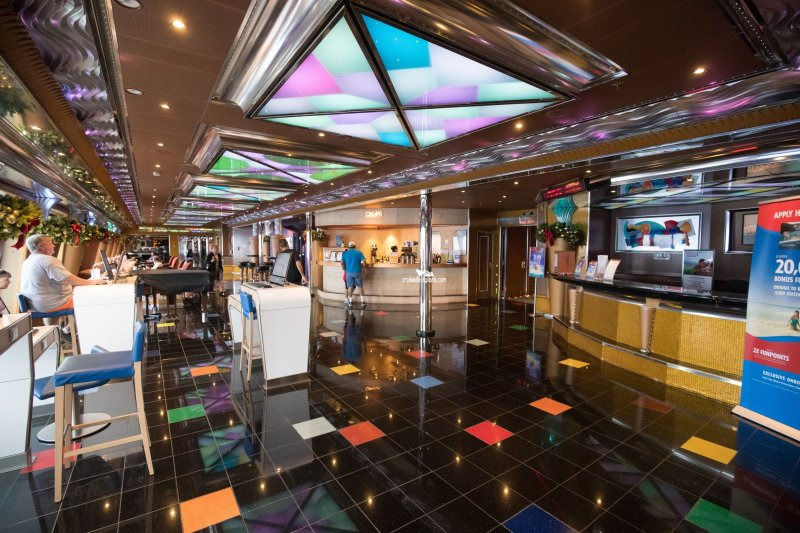 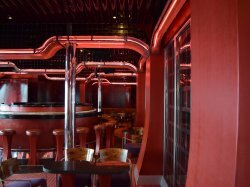 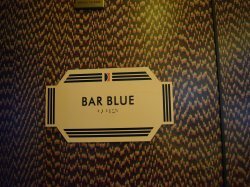 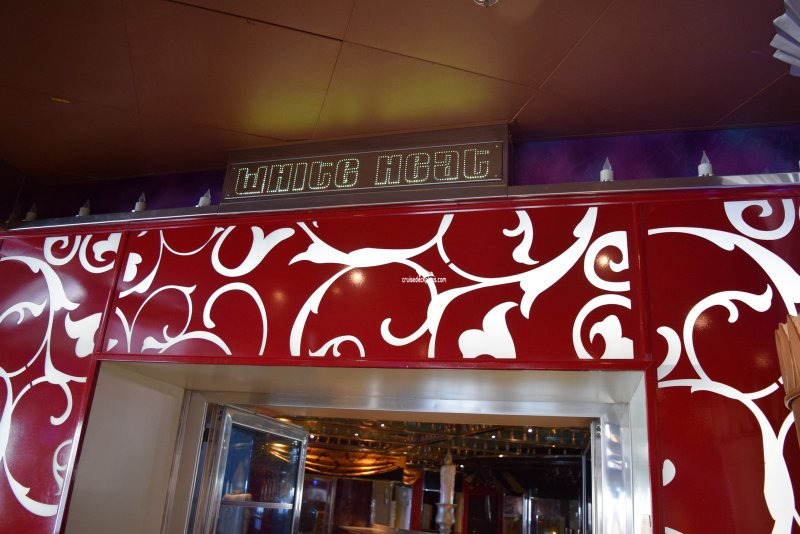 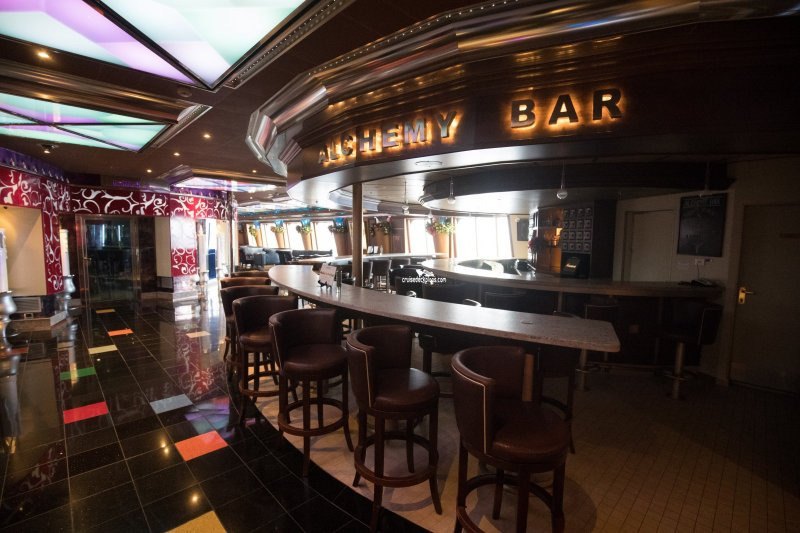 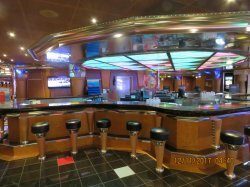 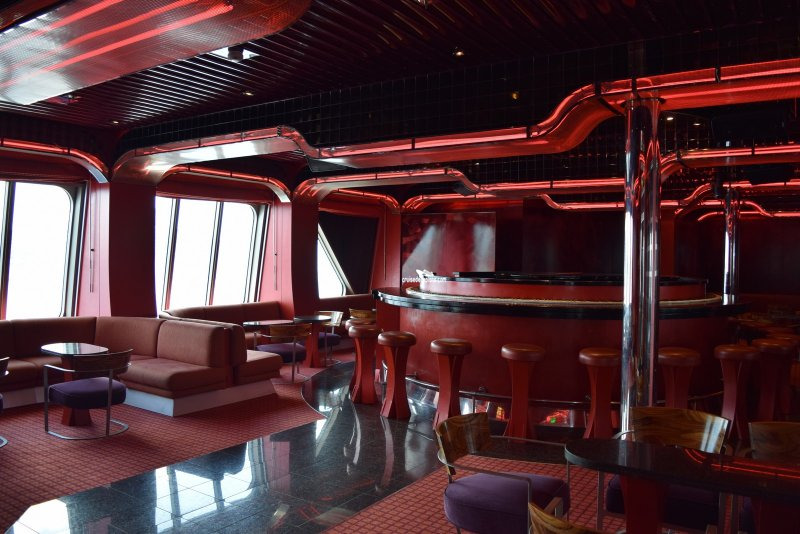 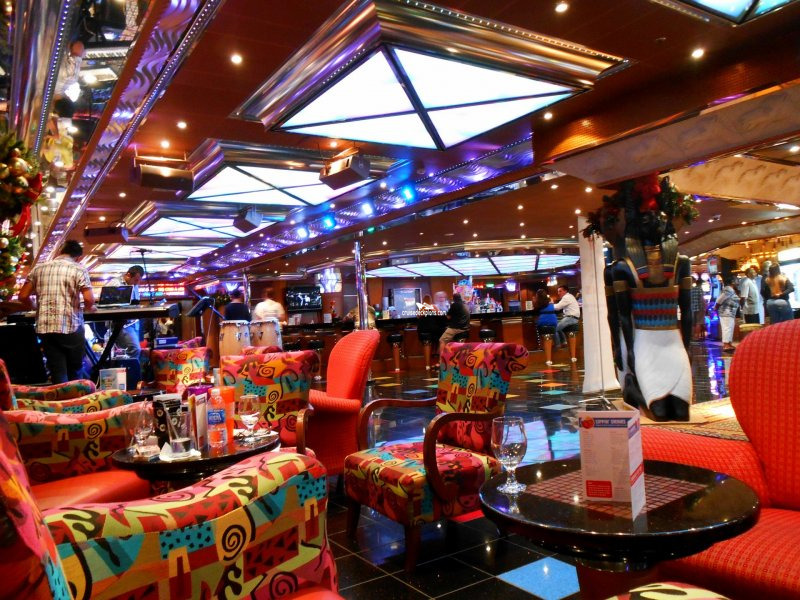 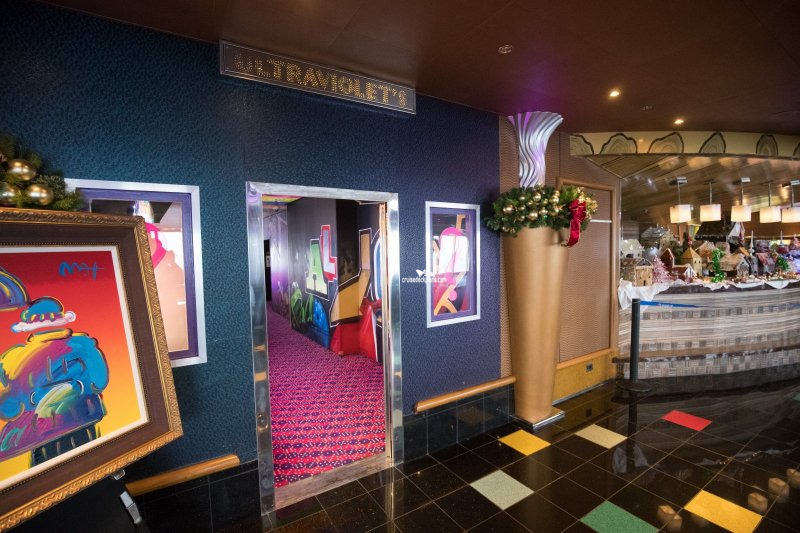 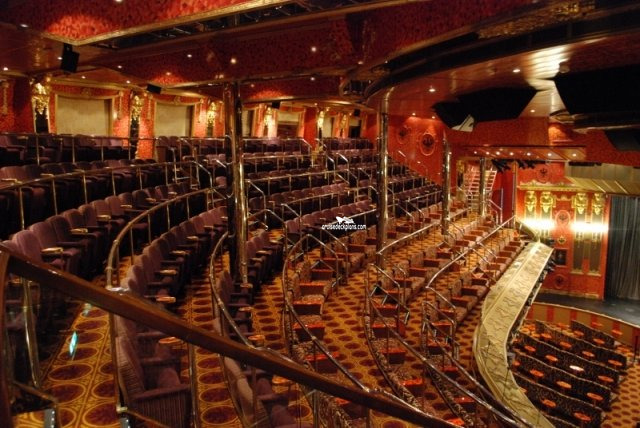 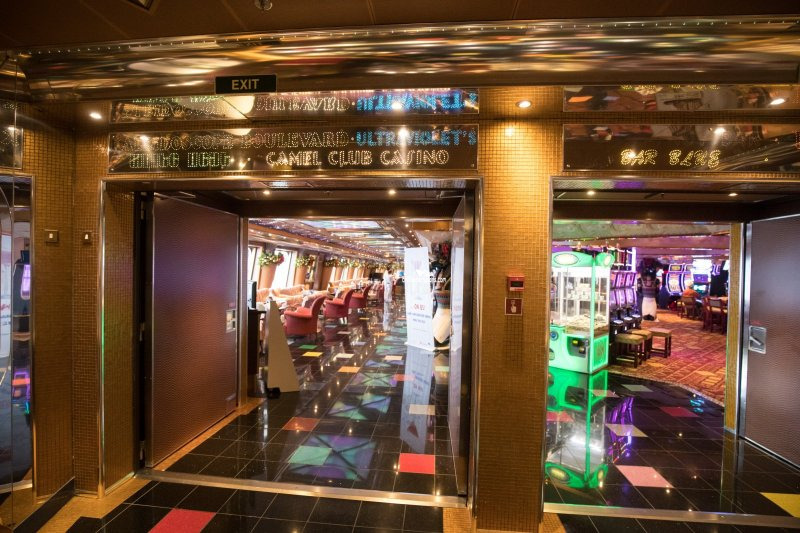 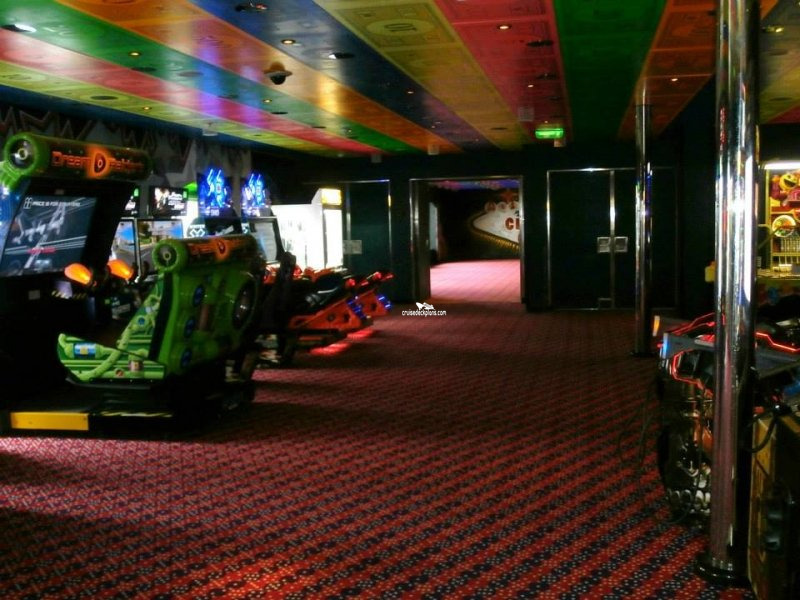 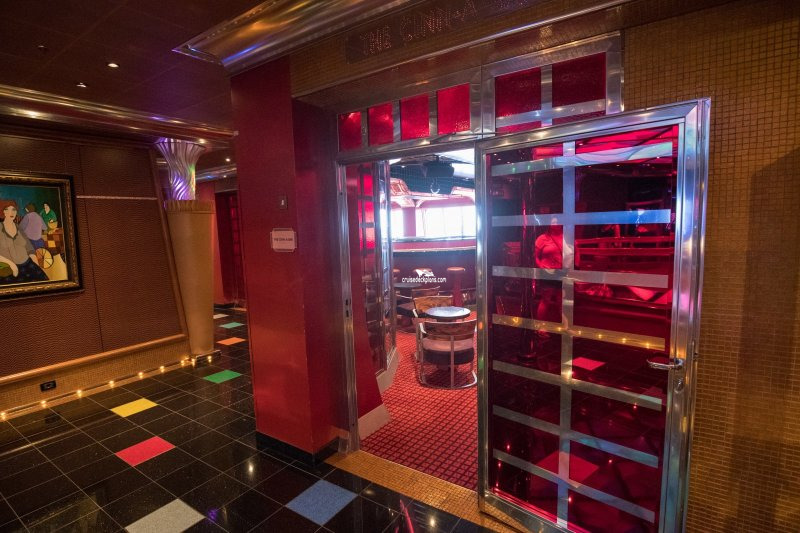 The ship's nightclub, with a capacity of 211. A quiet place to sit and have a drink. 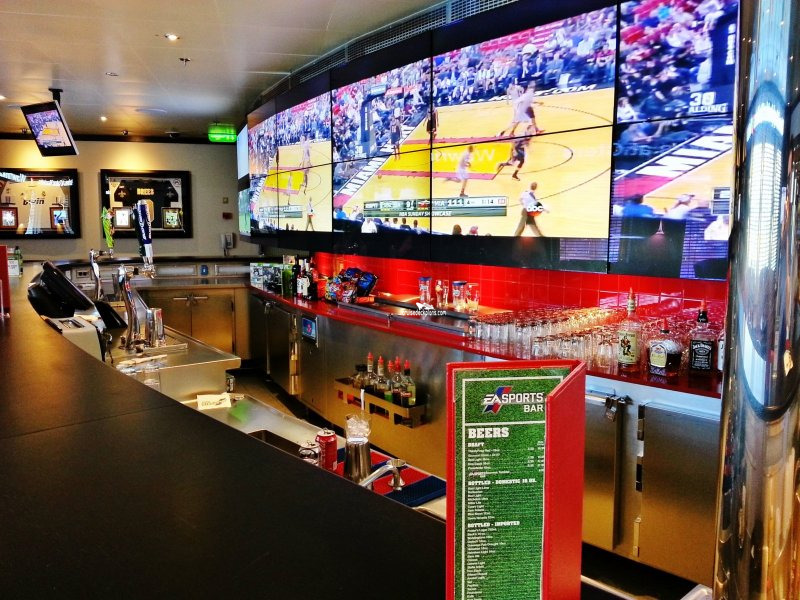 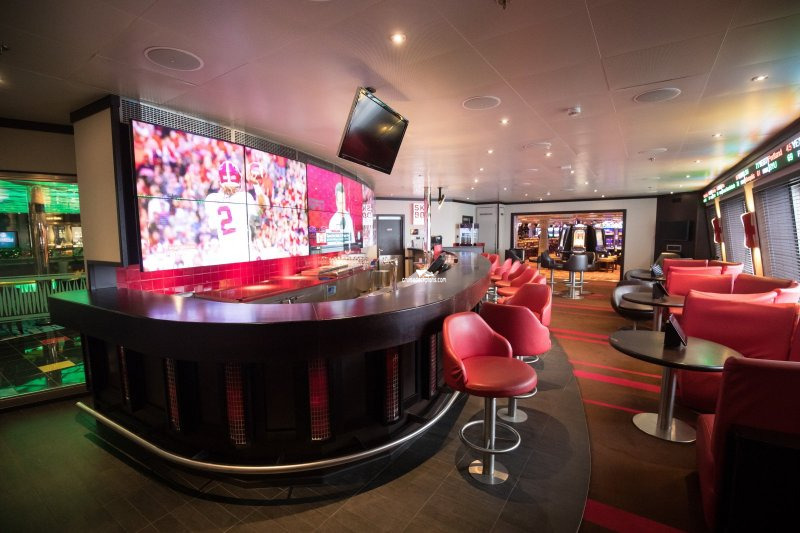 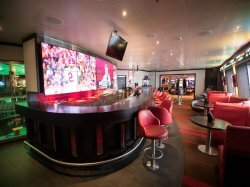 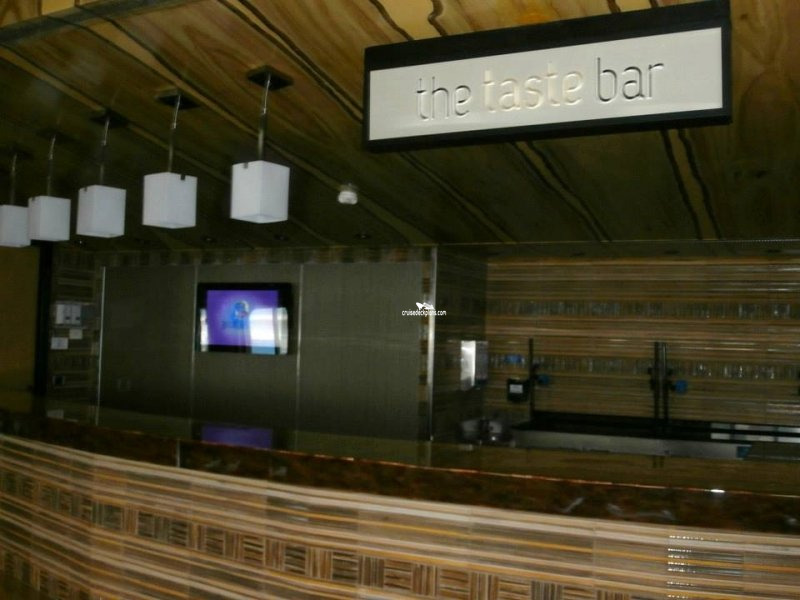 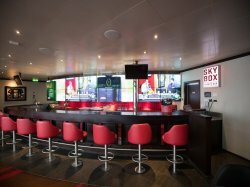 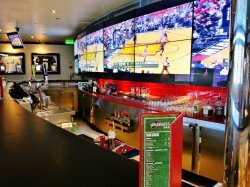 Grab a drink, order some snacks, watch your favorite games live on big flat-screen TVs, and keep up with real-time scores from across the sports world. 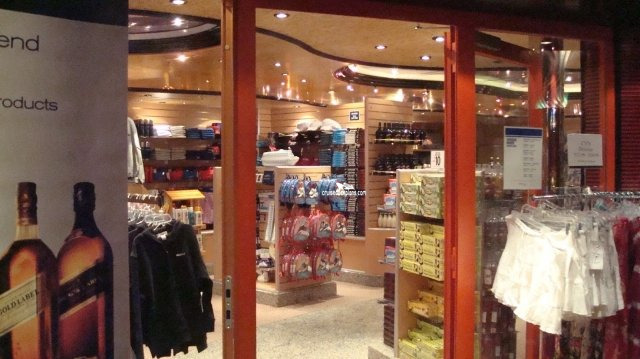 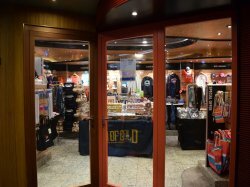 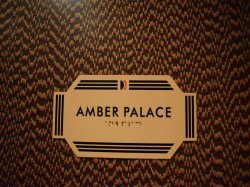 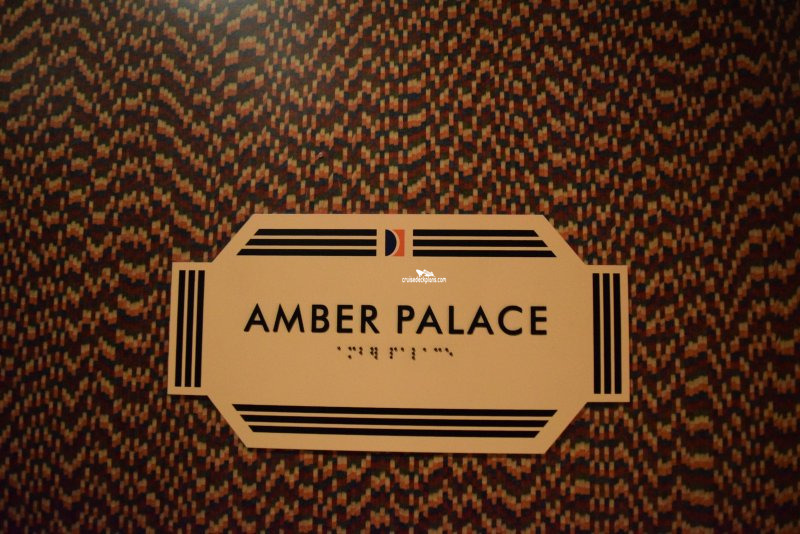 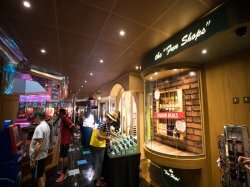 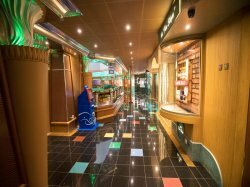 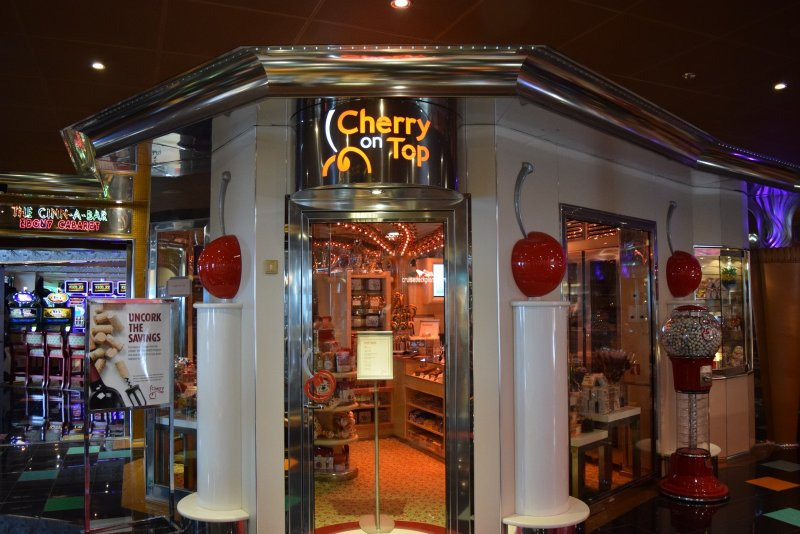 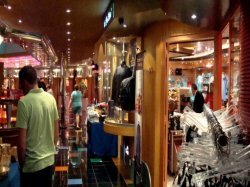 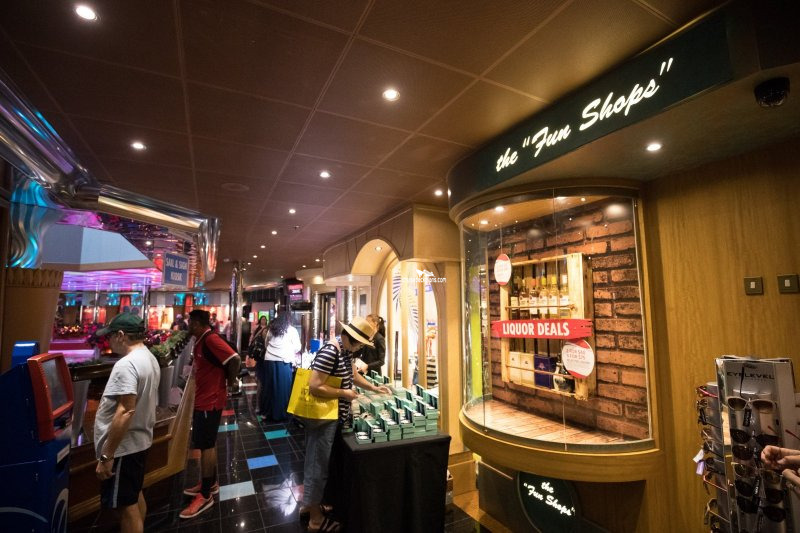 A selection of boutiques and duty free shops with items ranging from clothes, jewelery and spa products to souvenirs and duty free alcohol. 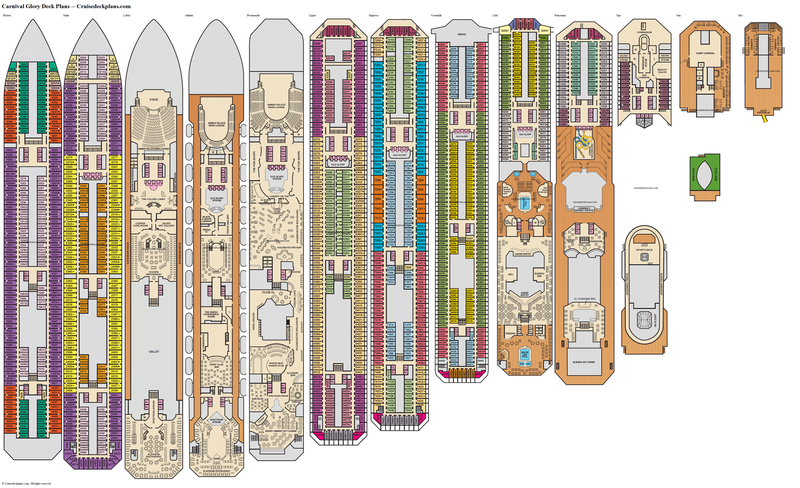 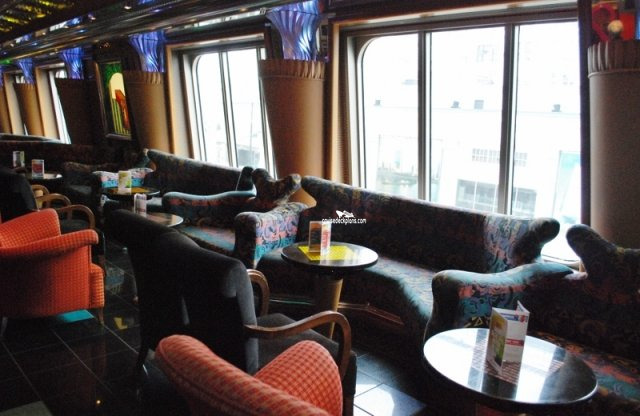 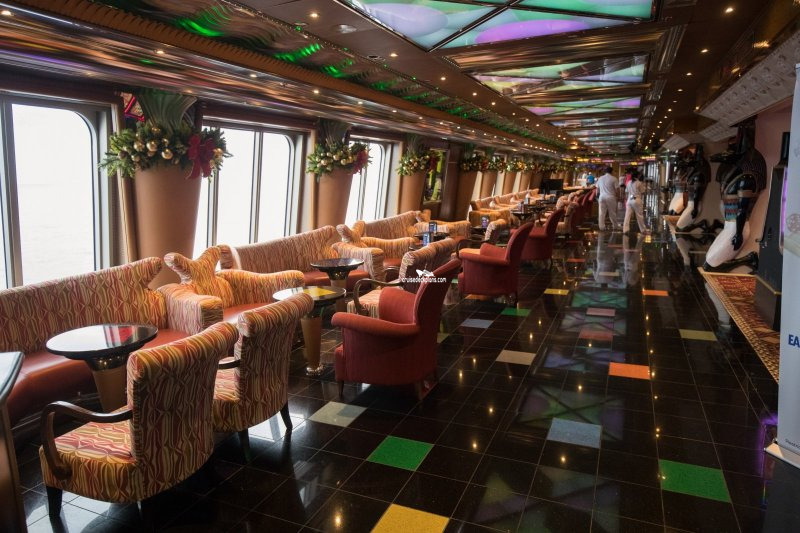 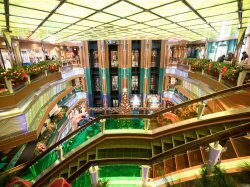 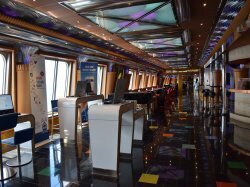 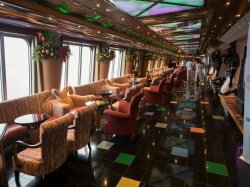 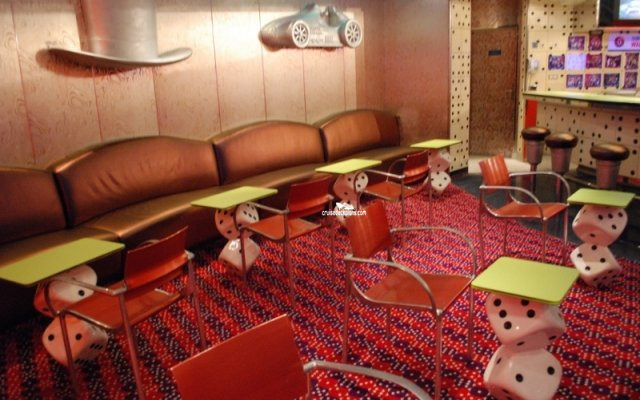 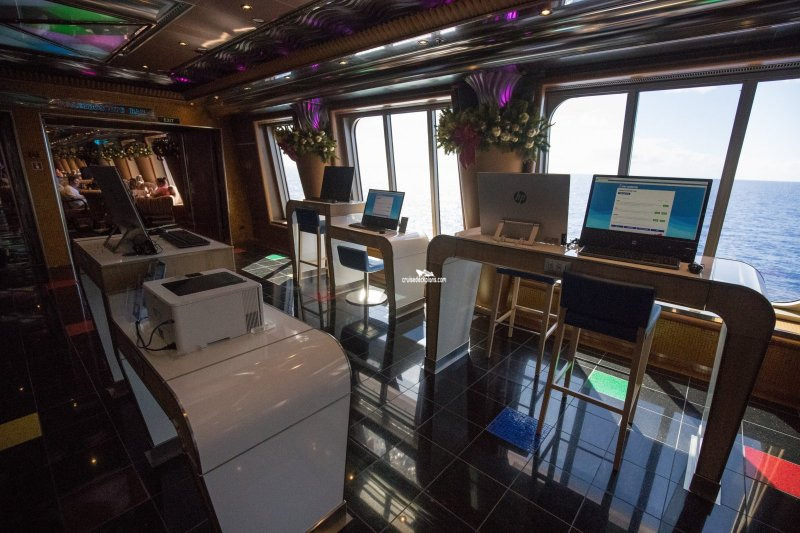 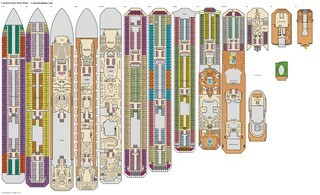 Long Inner Promenade with seating, large windows, internet stations.